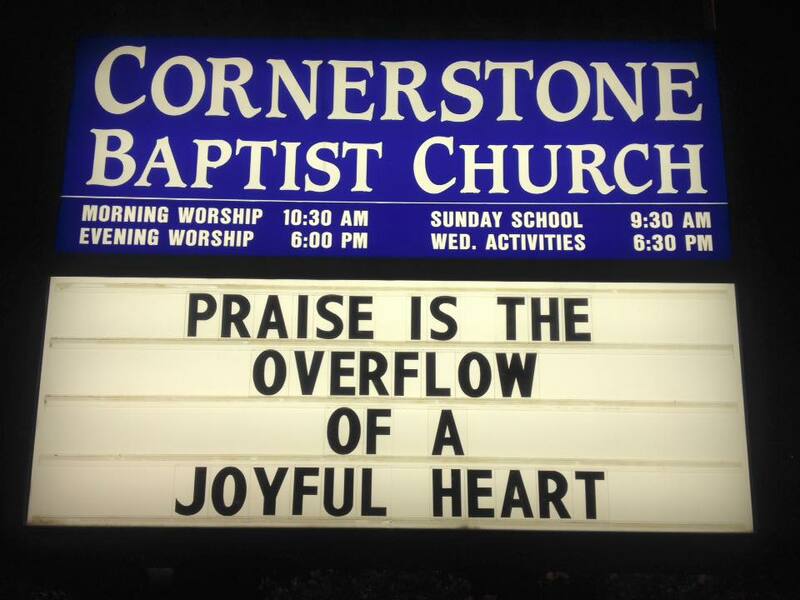 NOTE: You can pause a sign image by hovering over it. 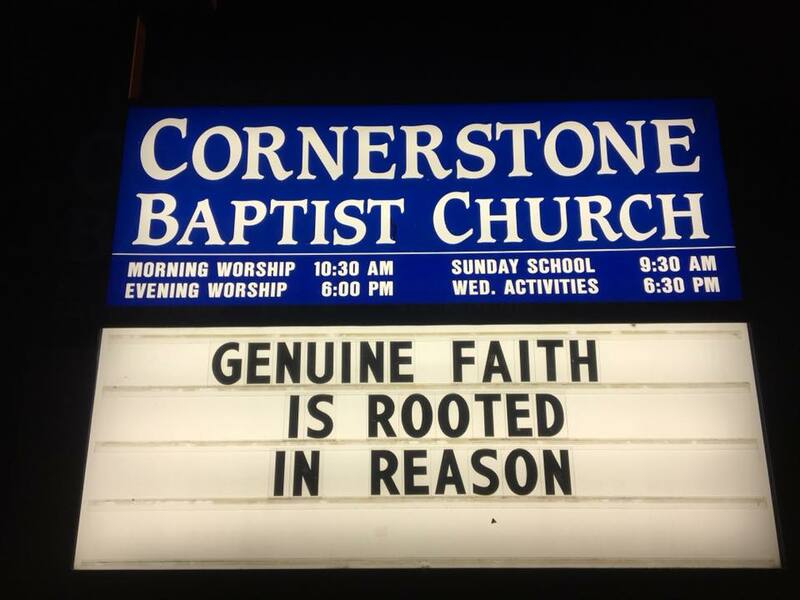 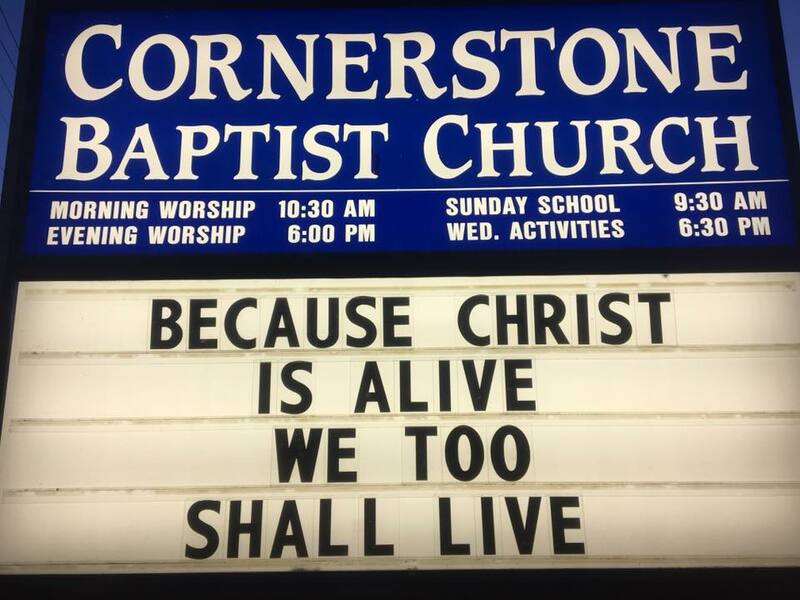 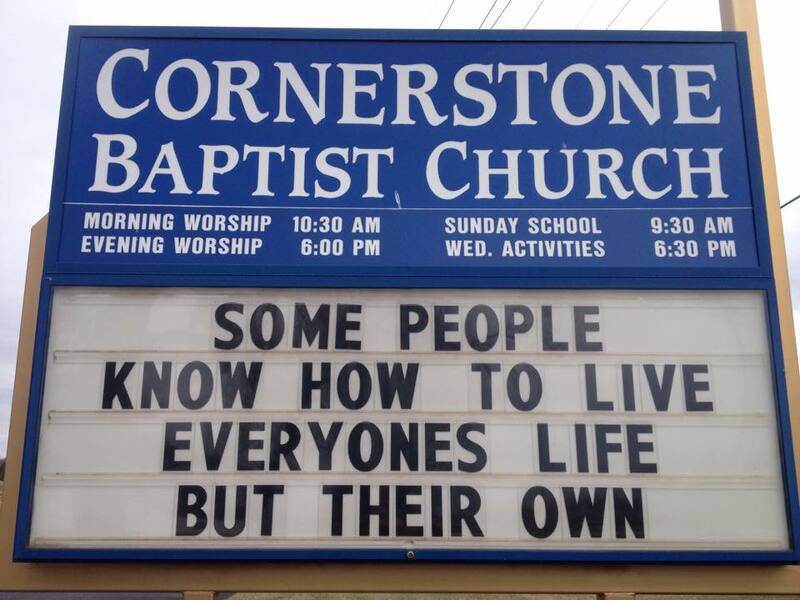 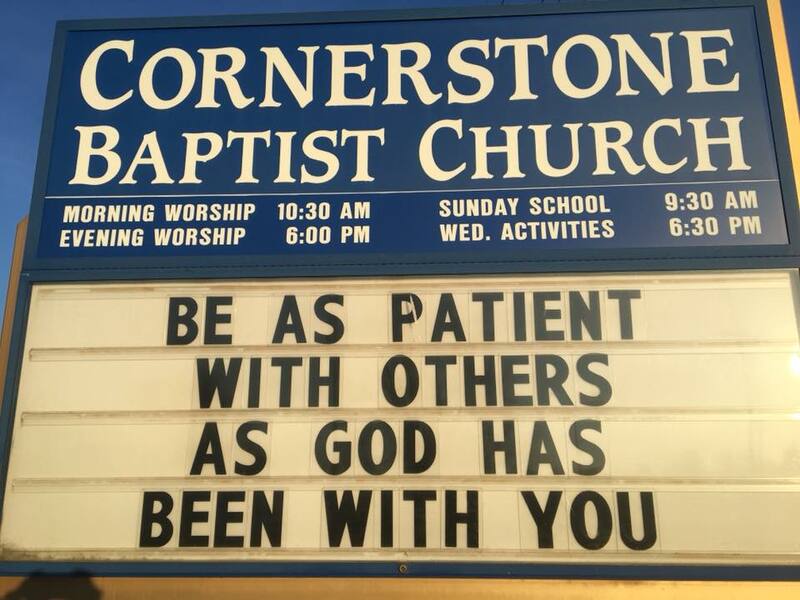 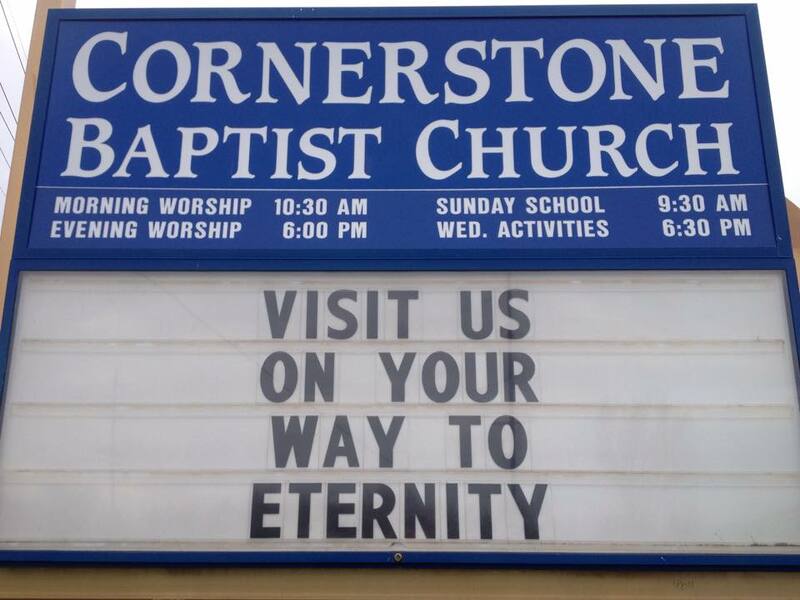 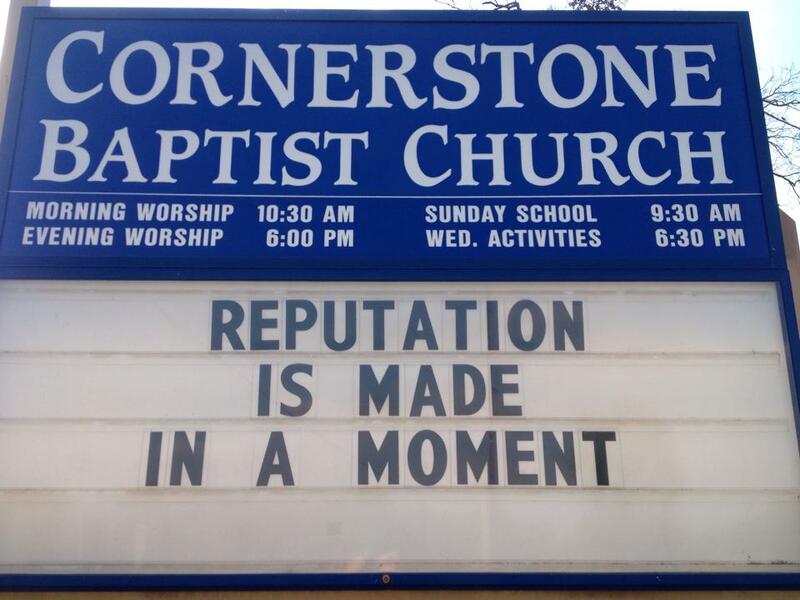 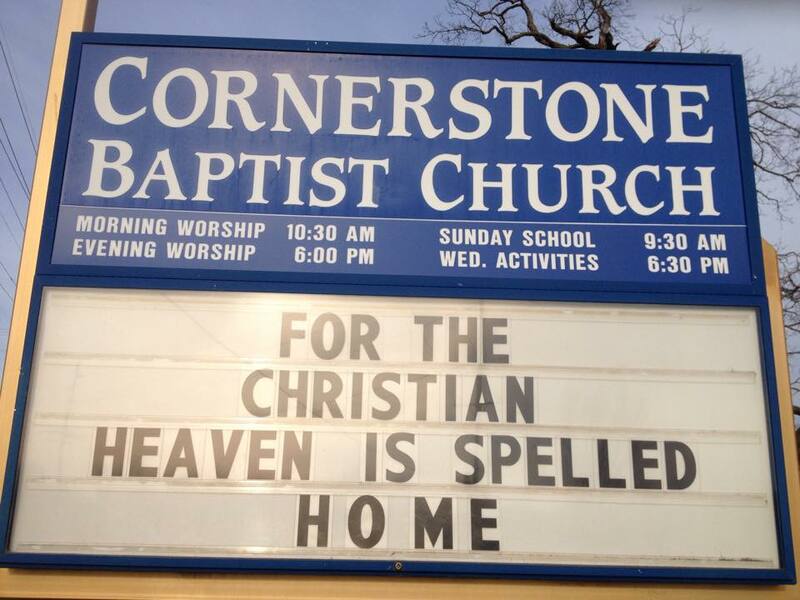 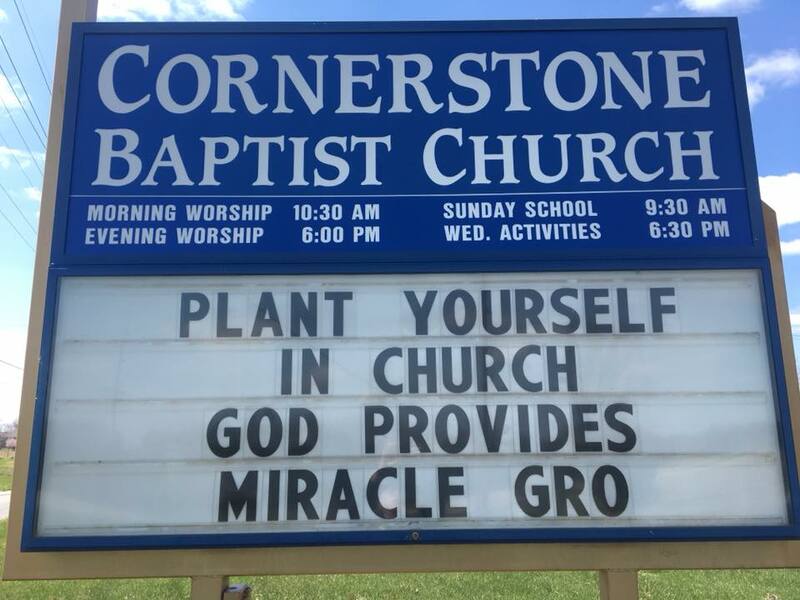 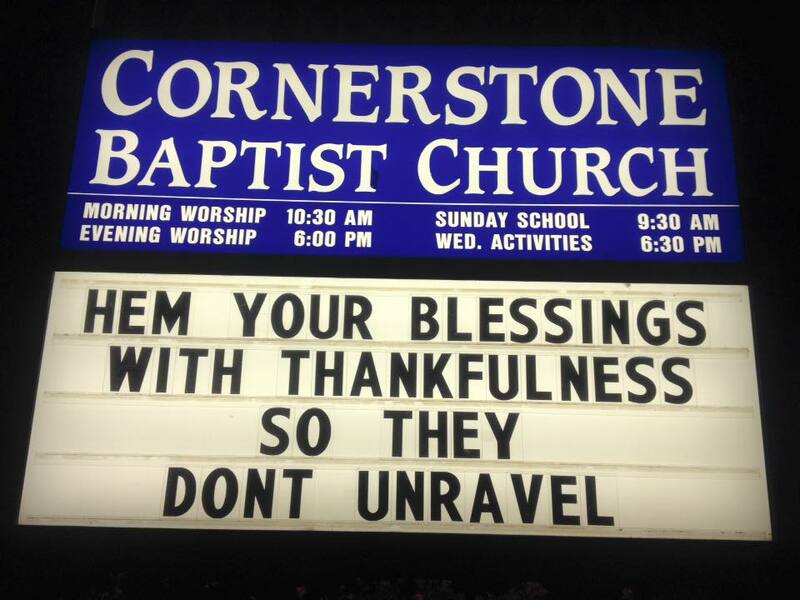 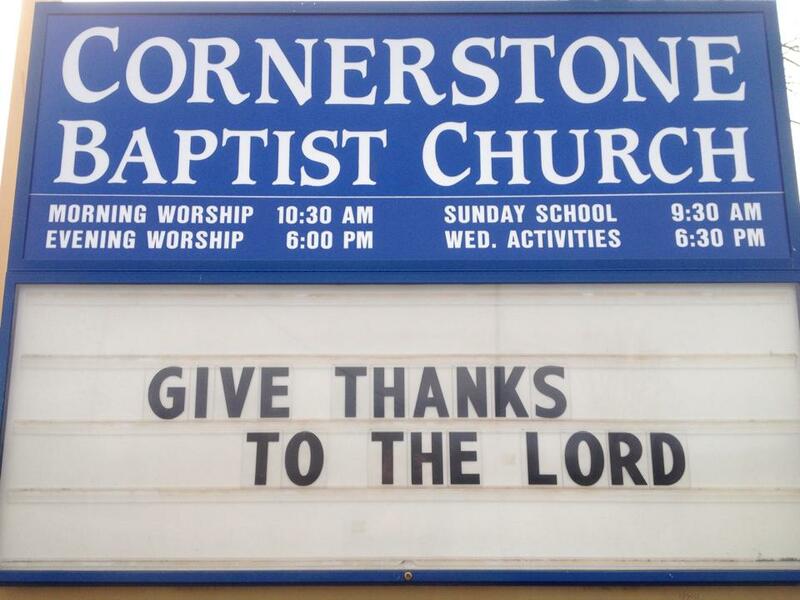 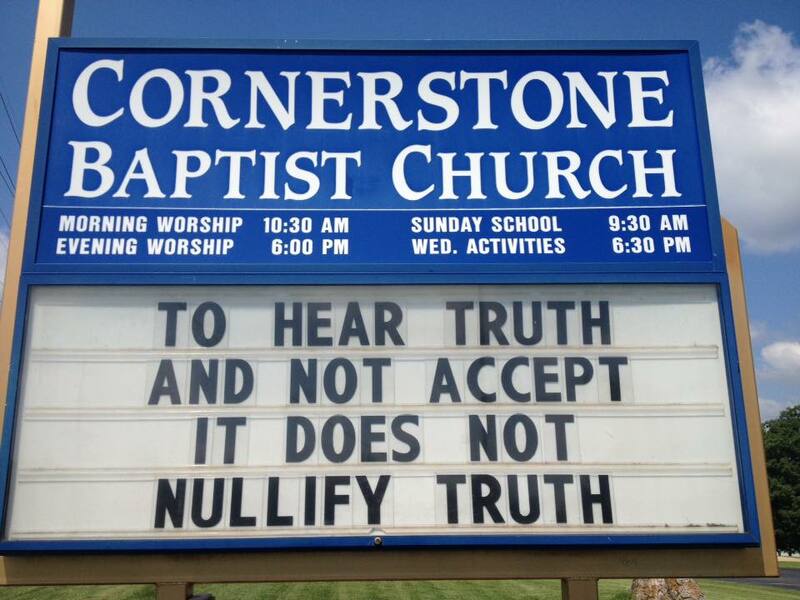 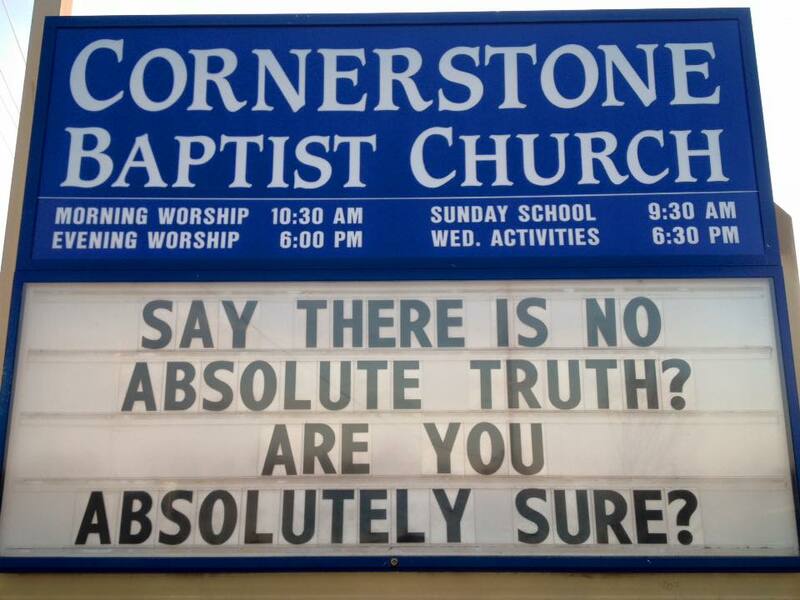 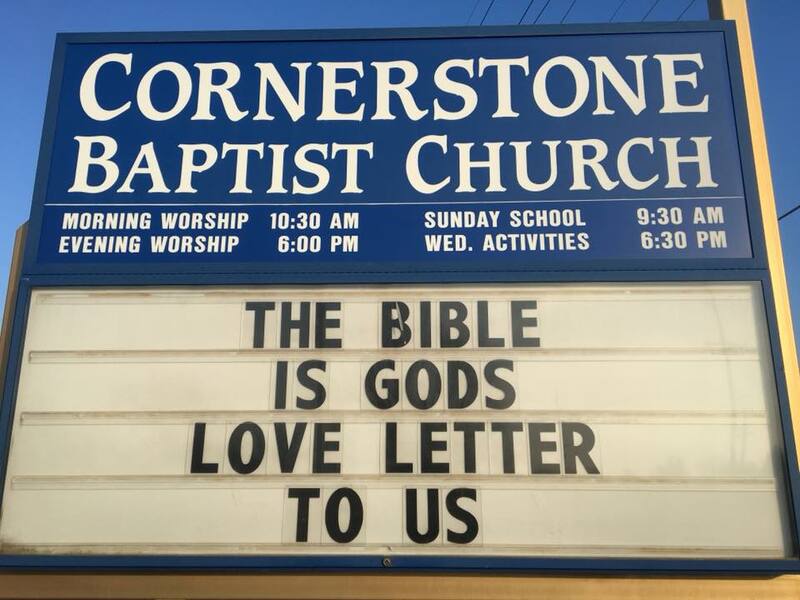 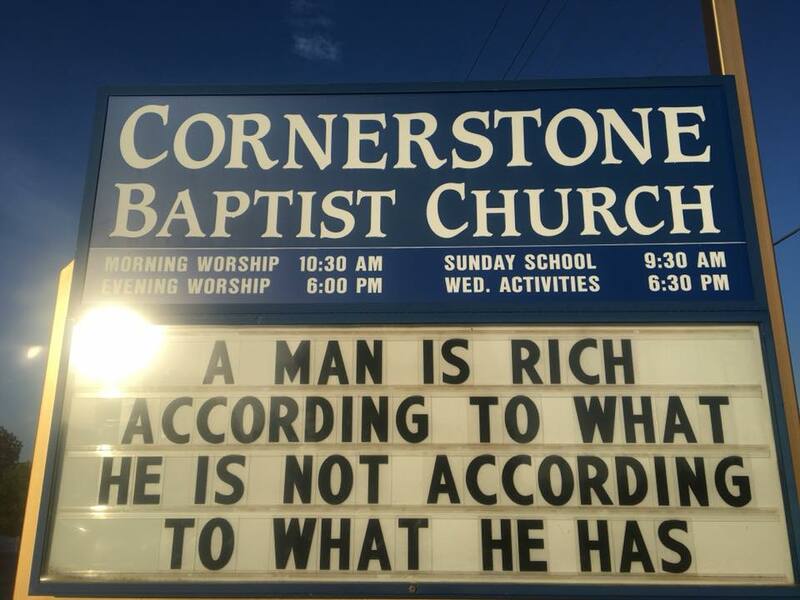 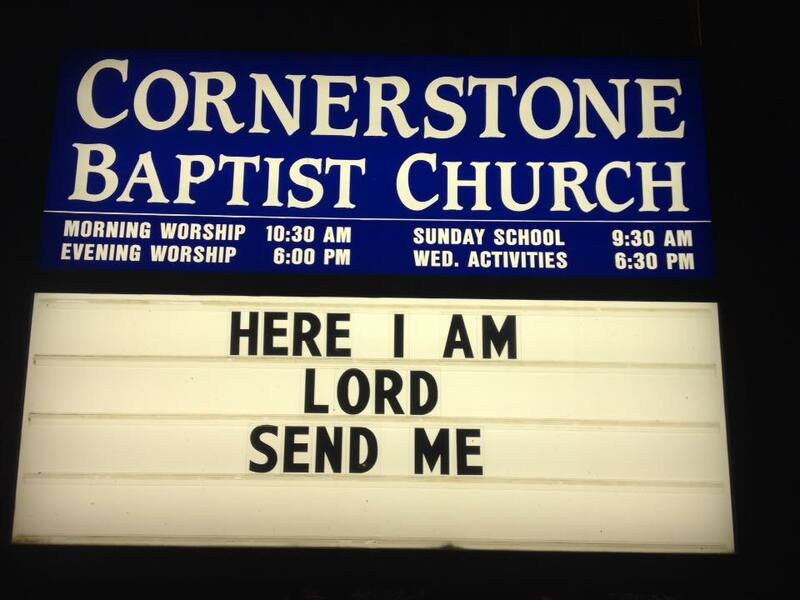 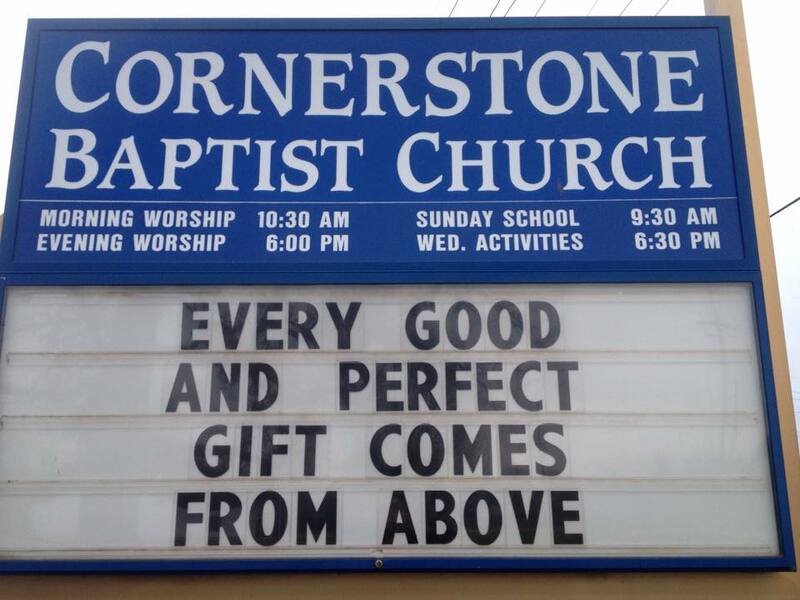 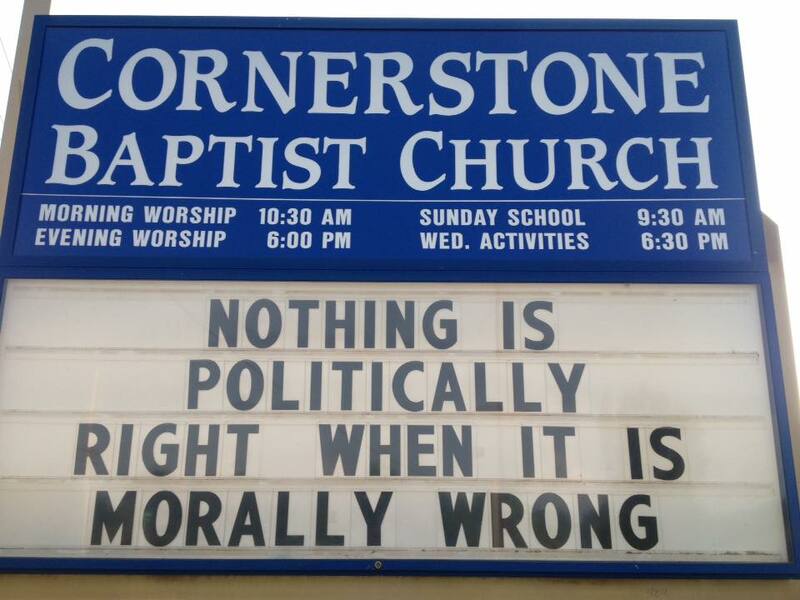 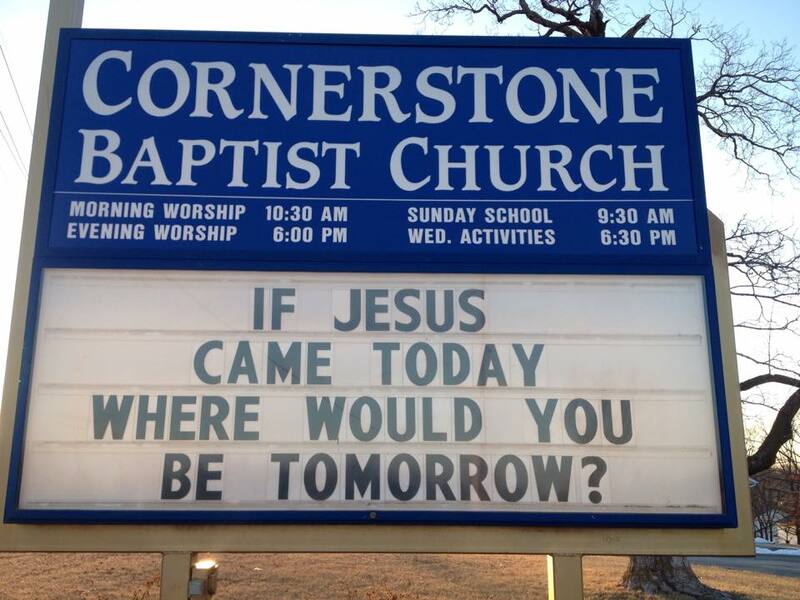 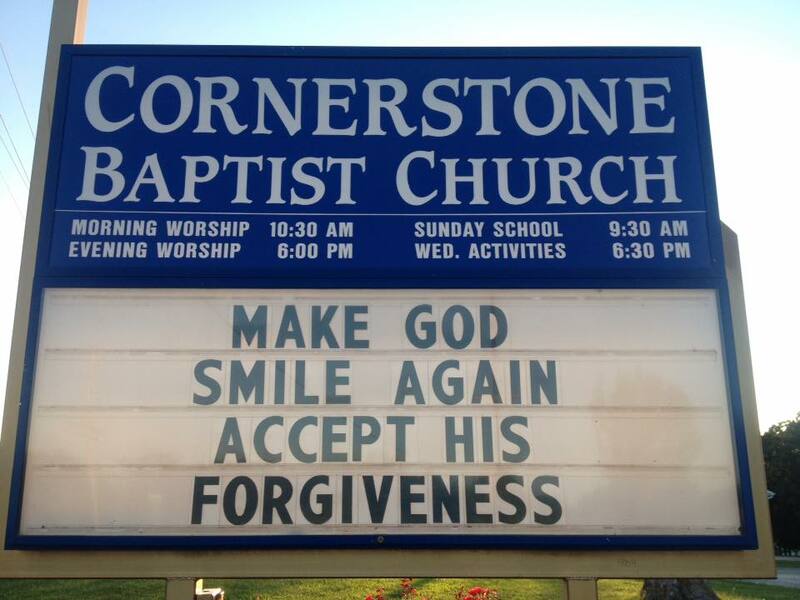 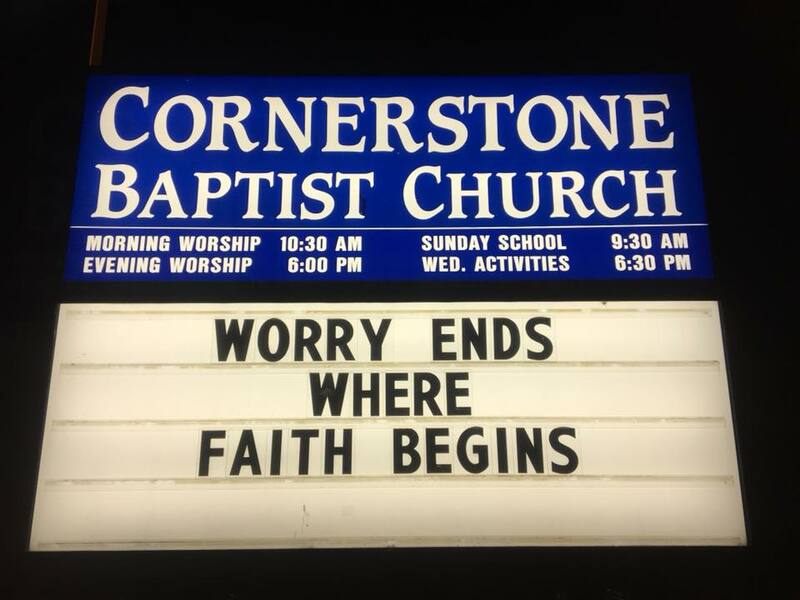 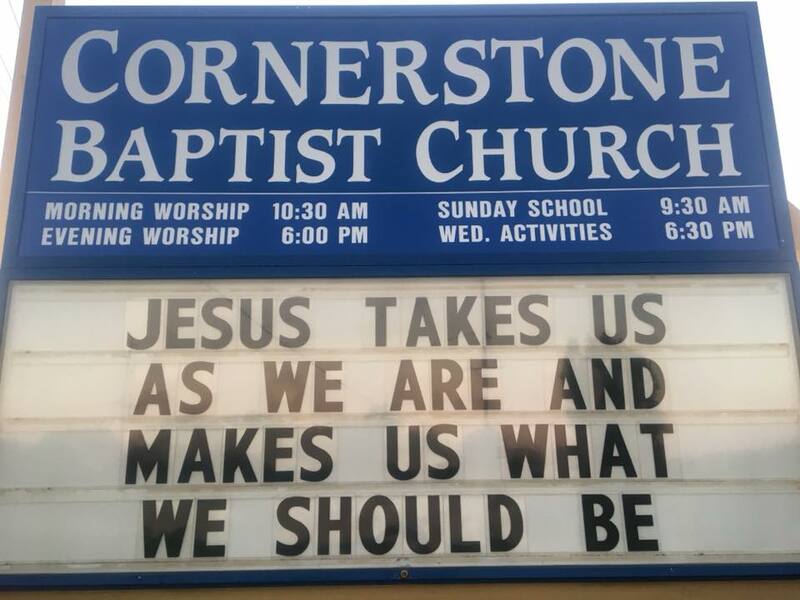 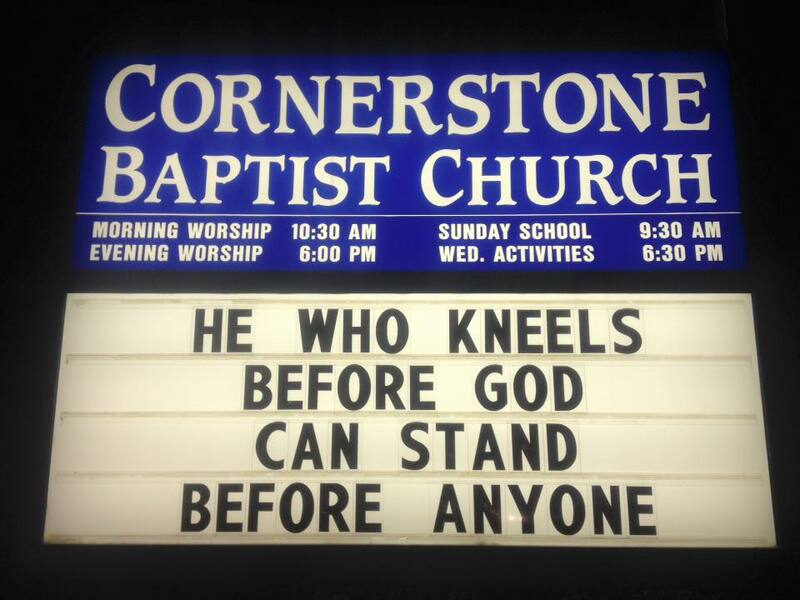 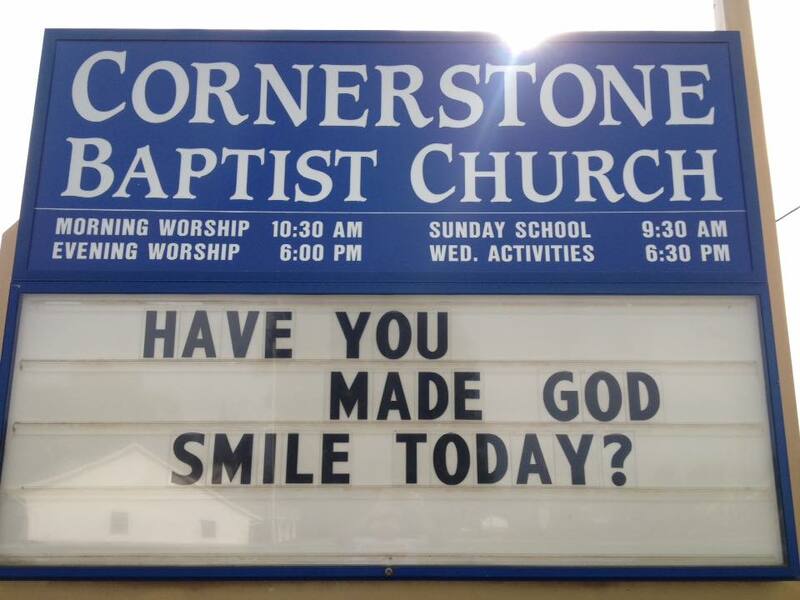 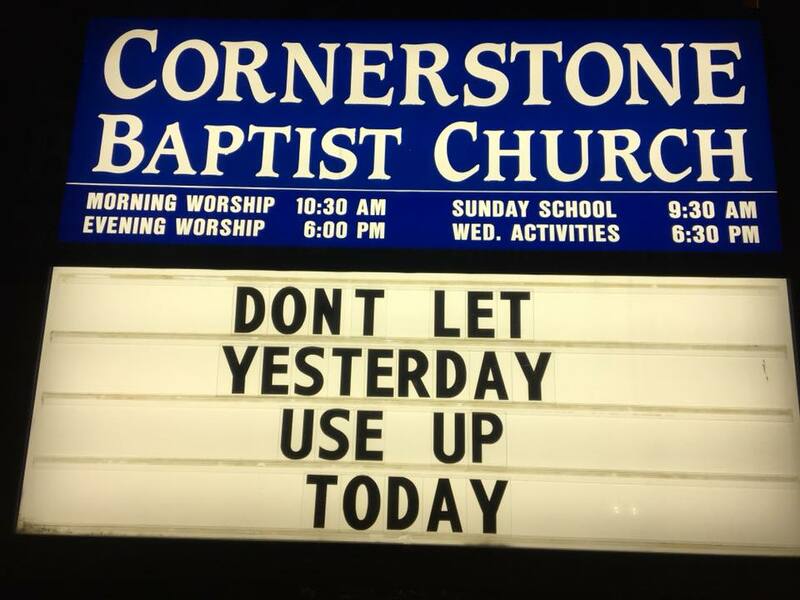 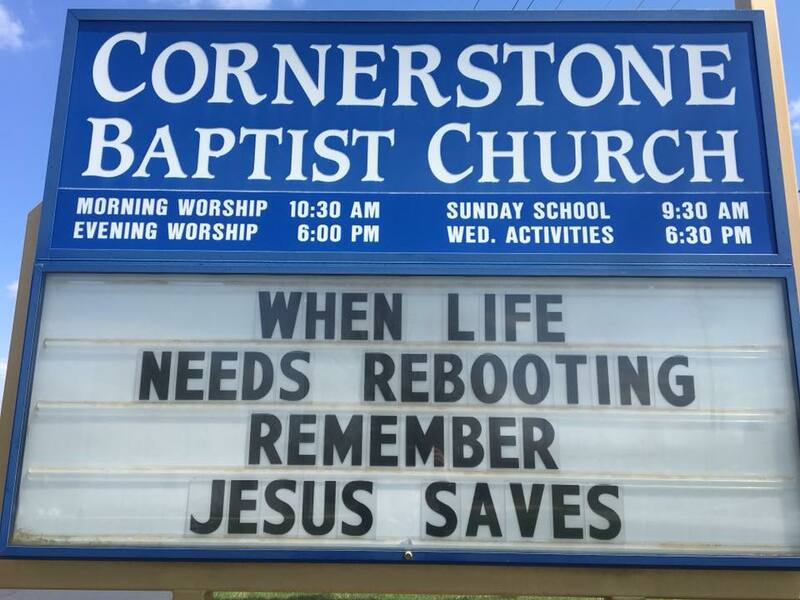 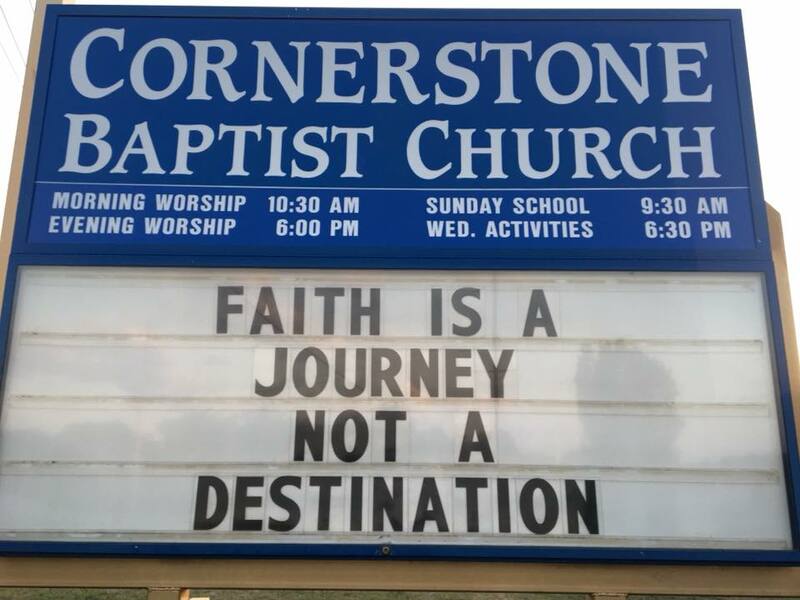 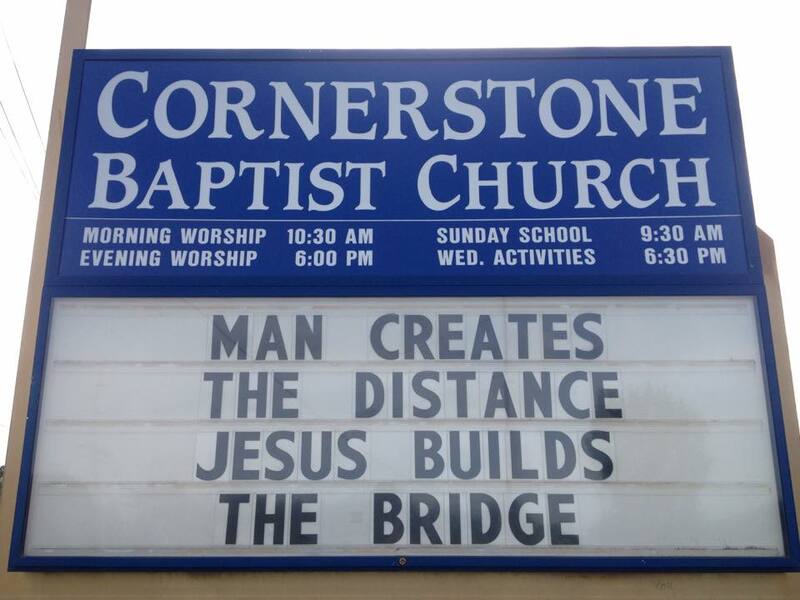 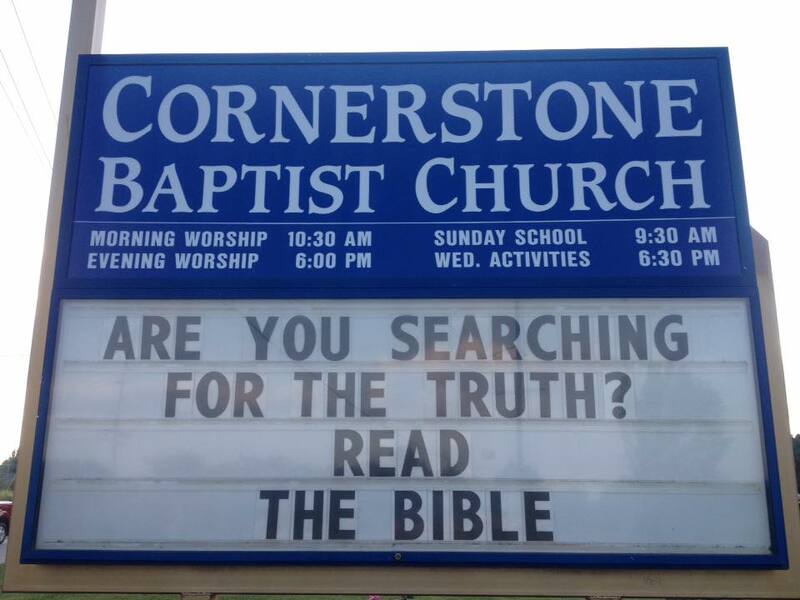 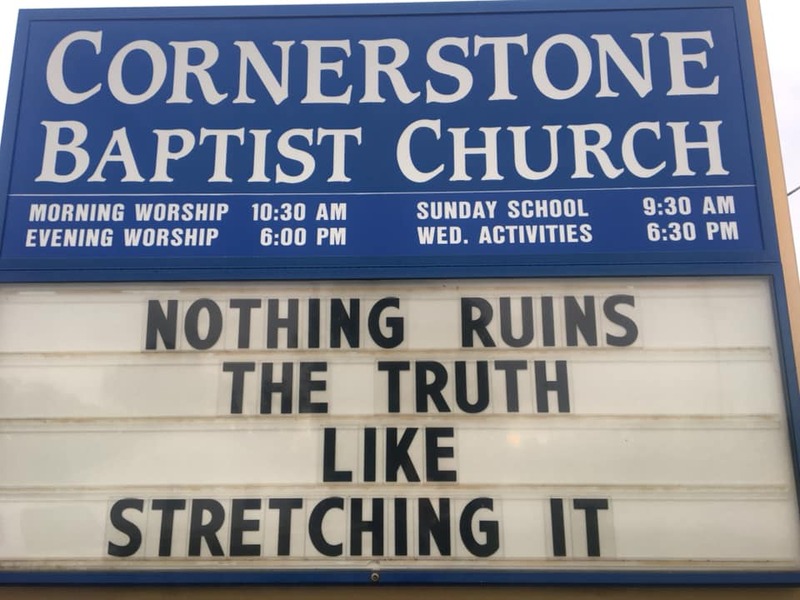 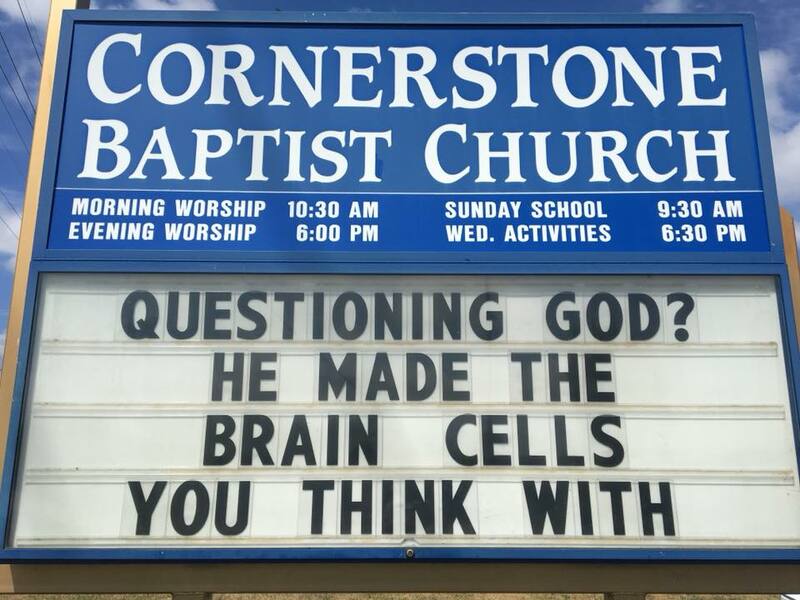 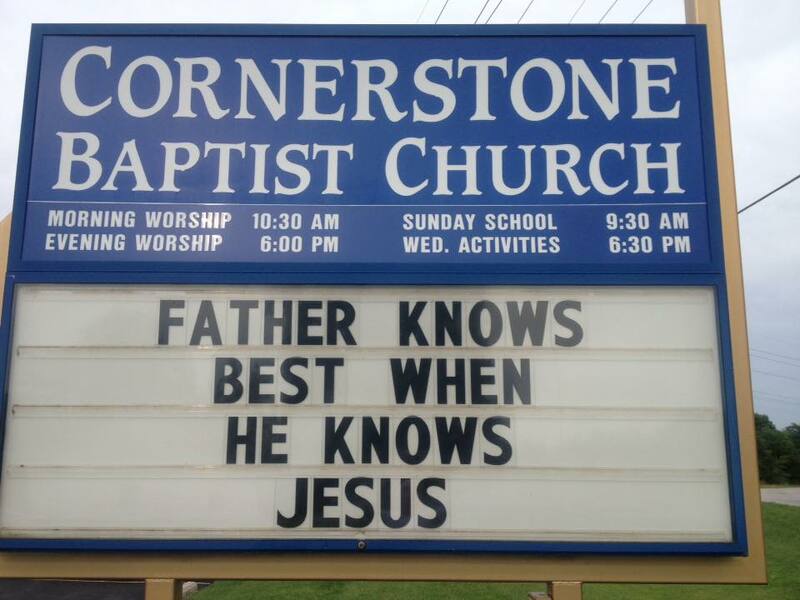 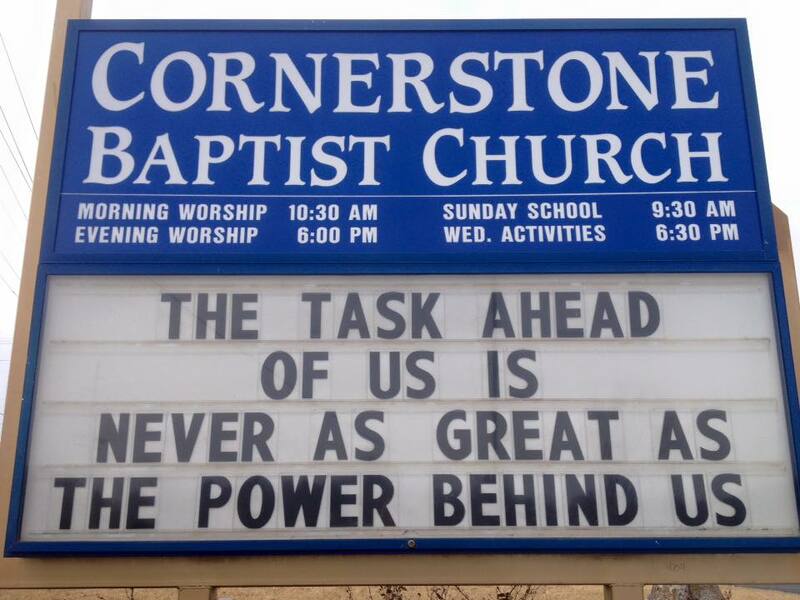 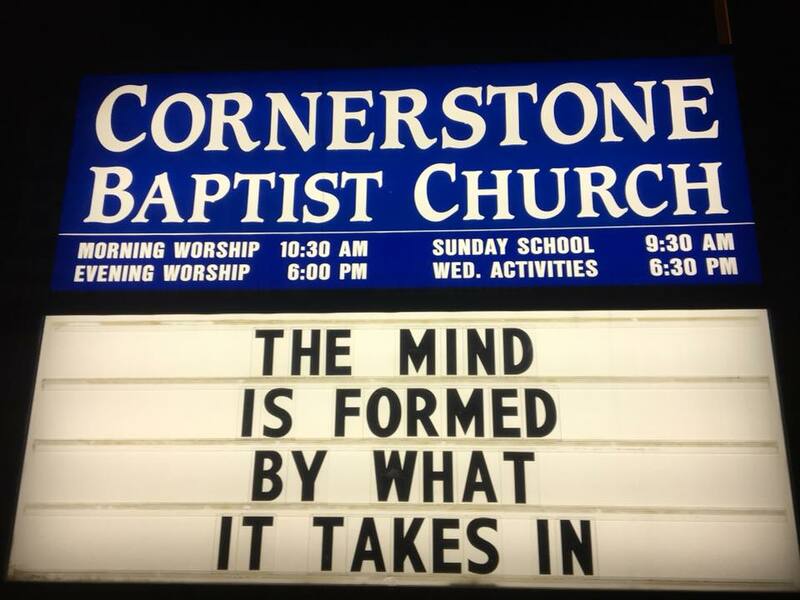 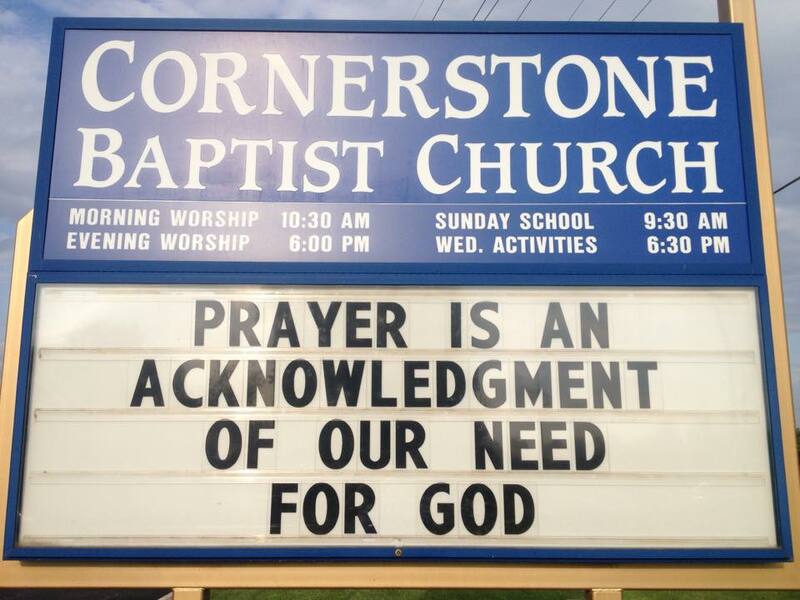 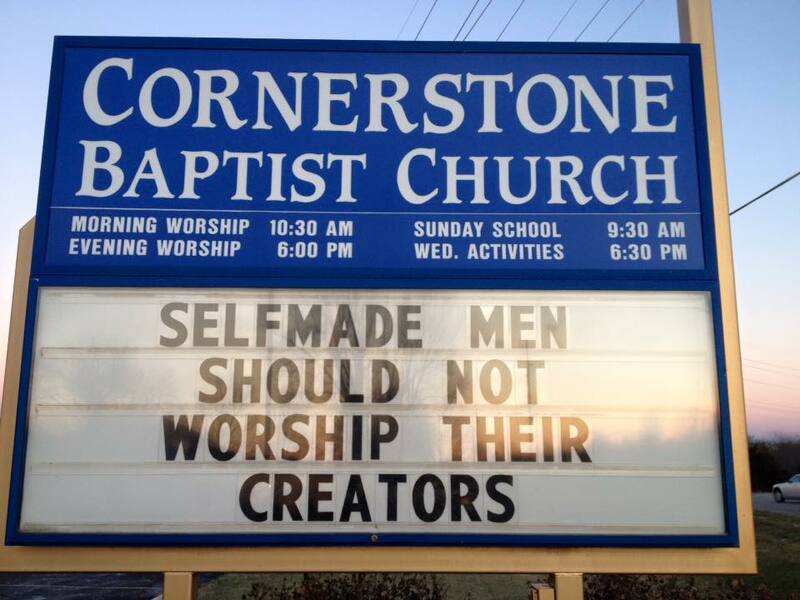 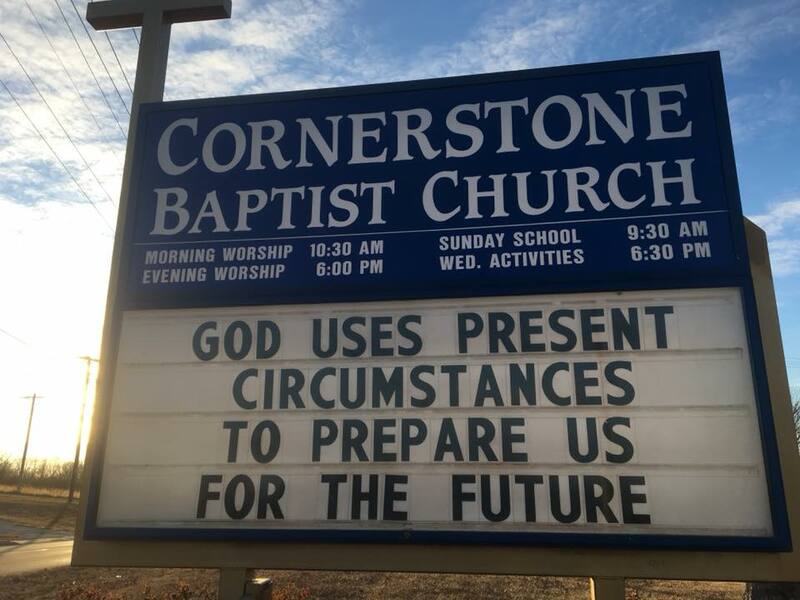 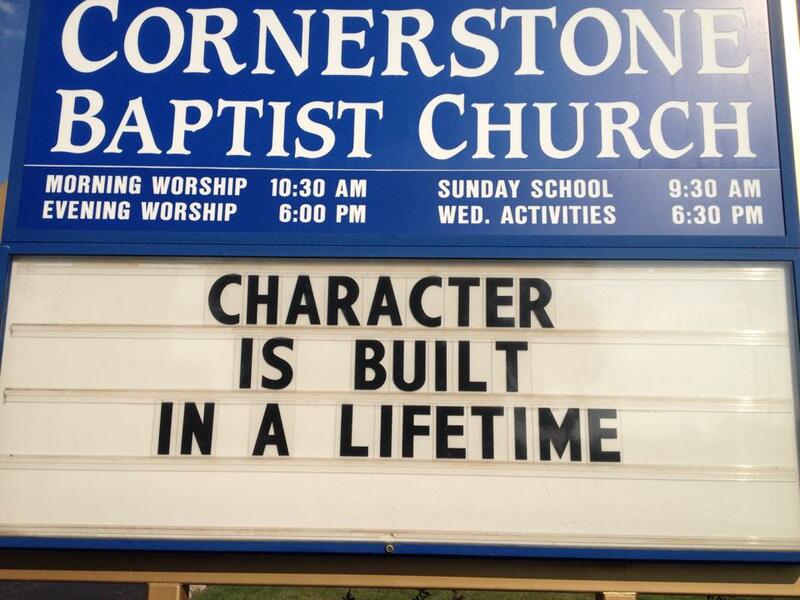 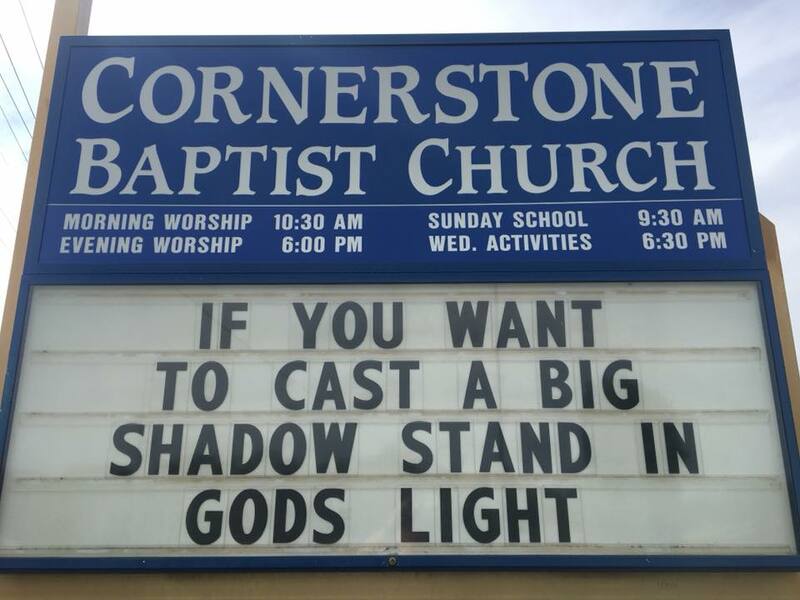 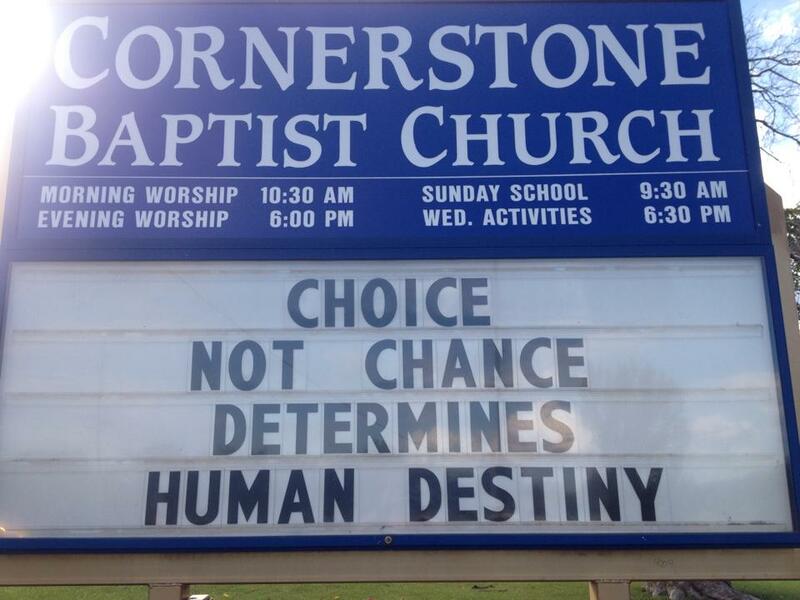 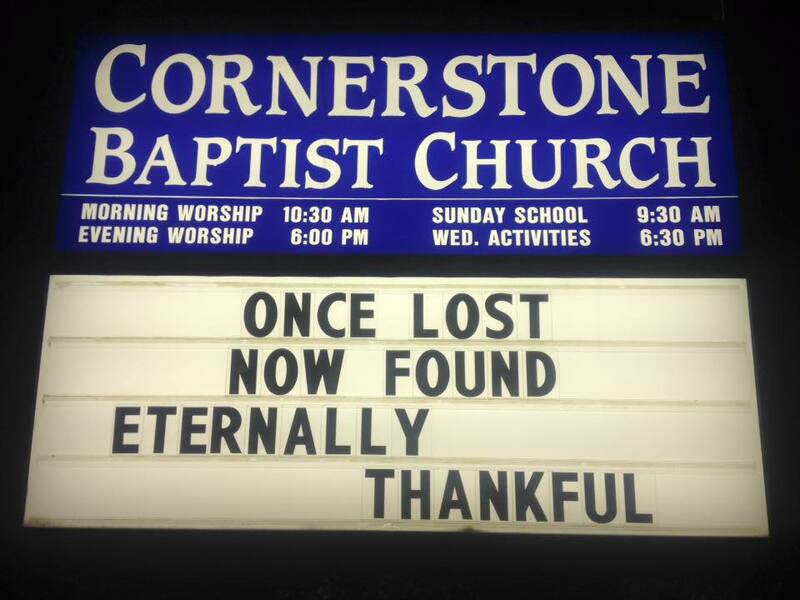 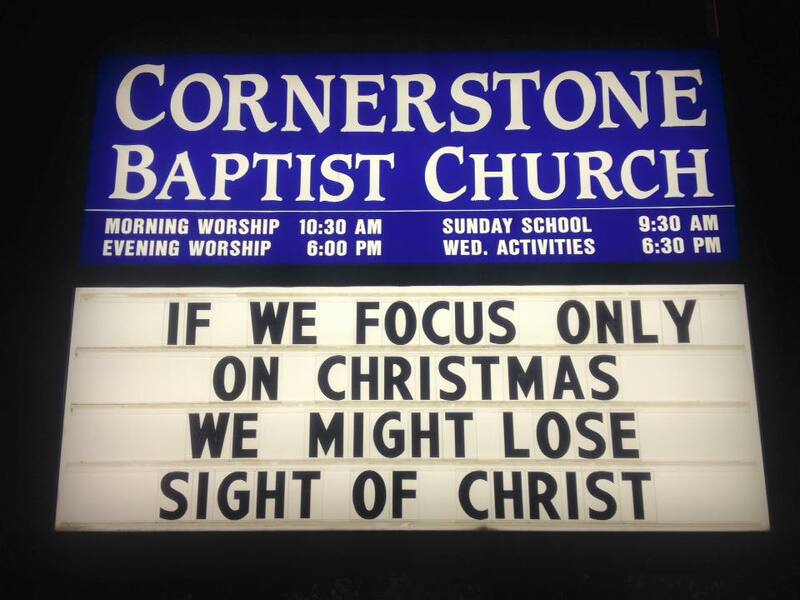 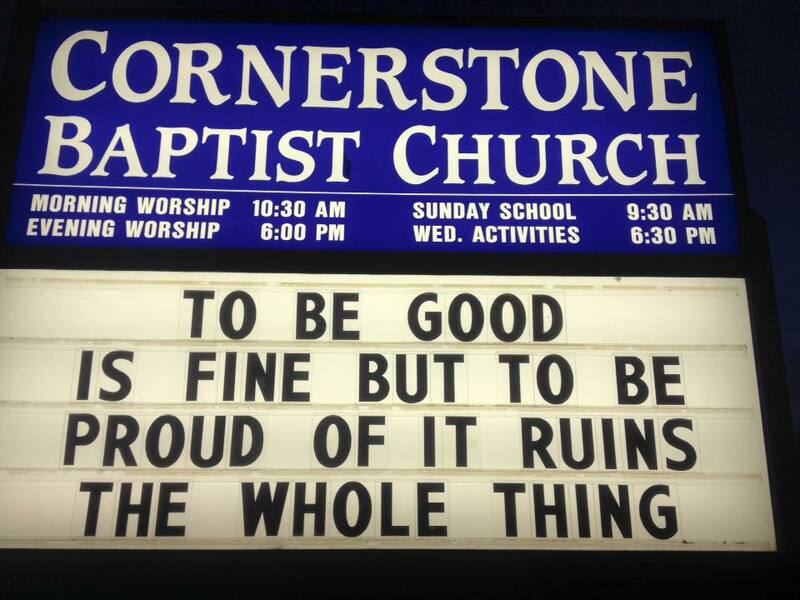 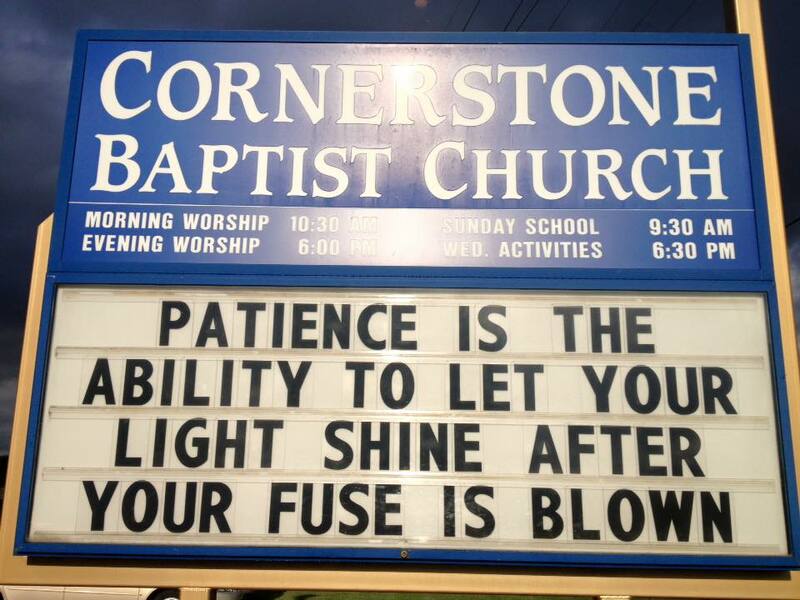 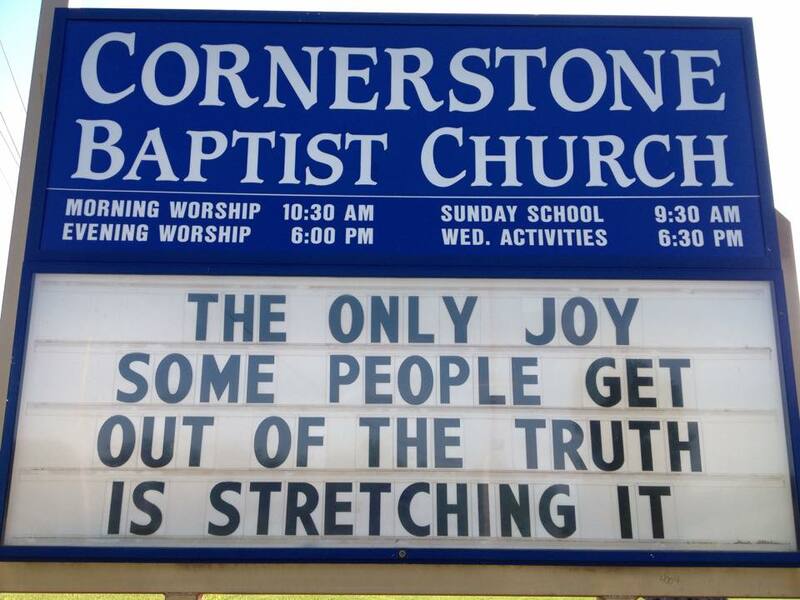 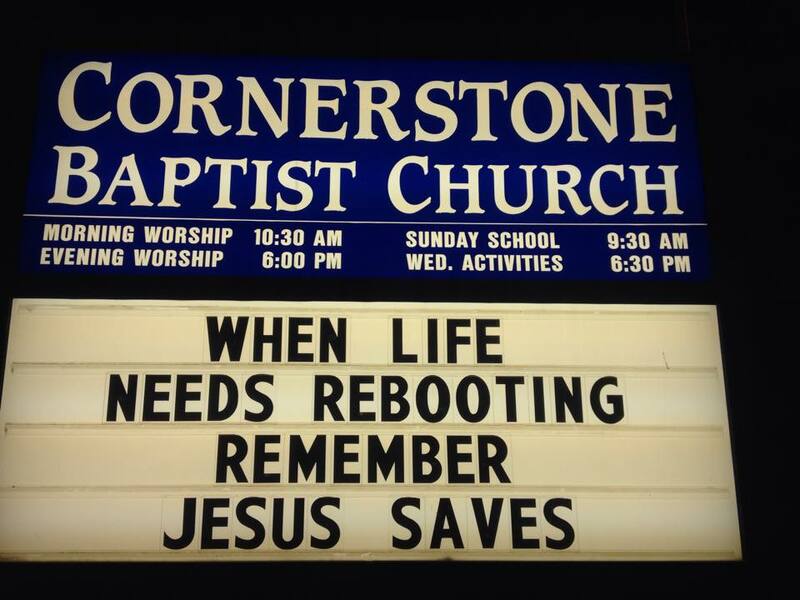 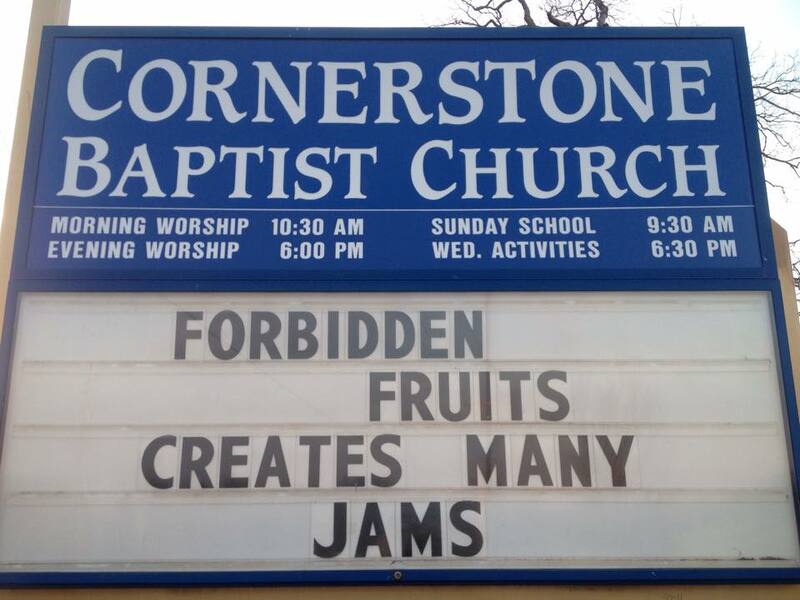 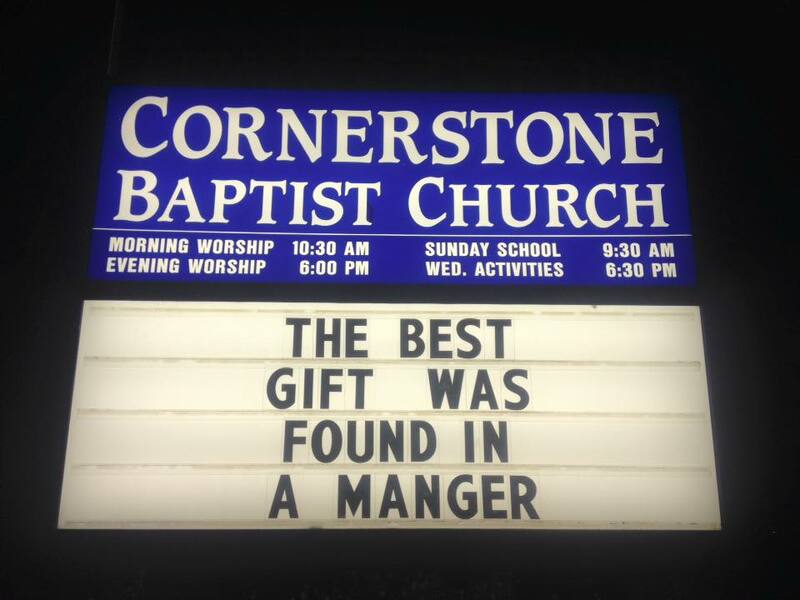 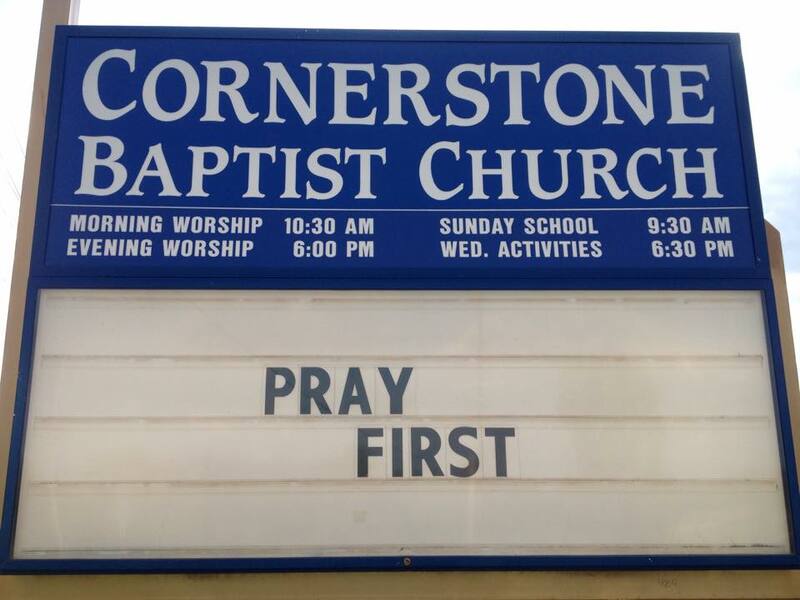 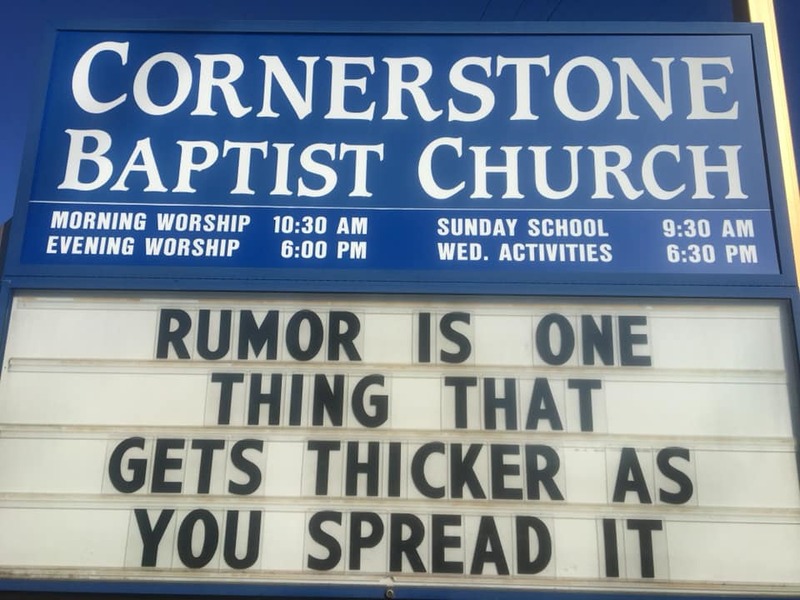 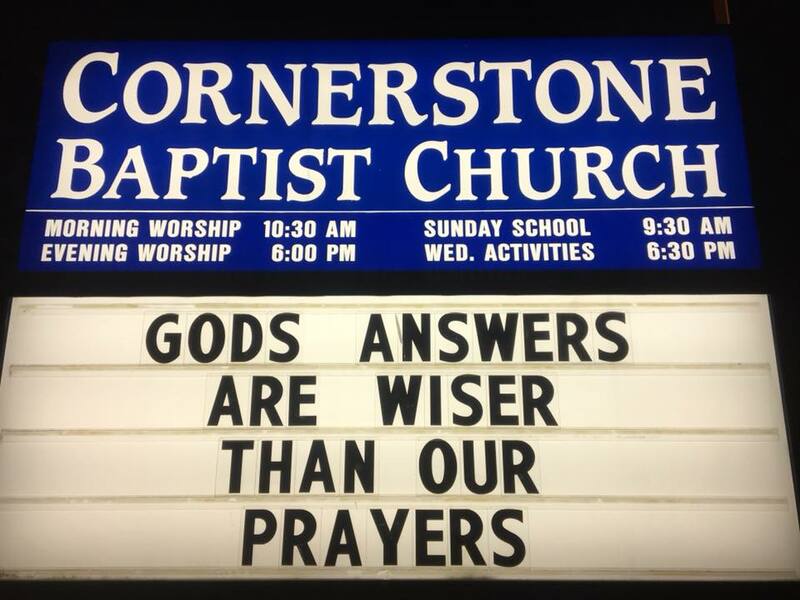 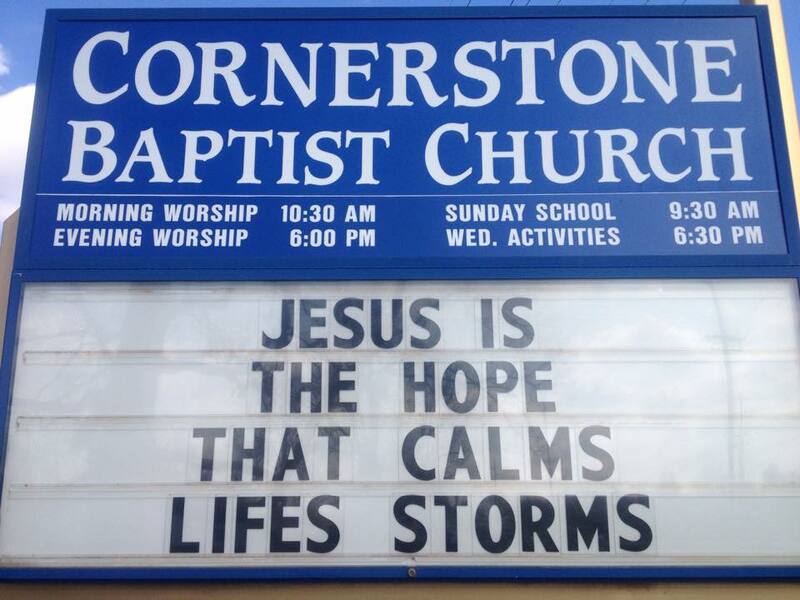 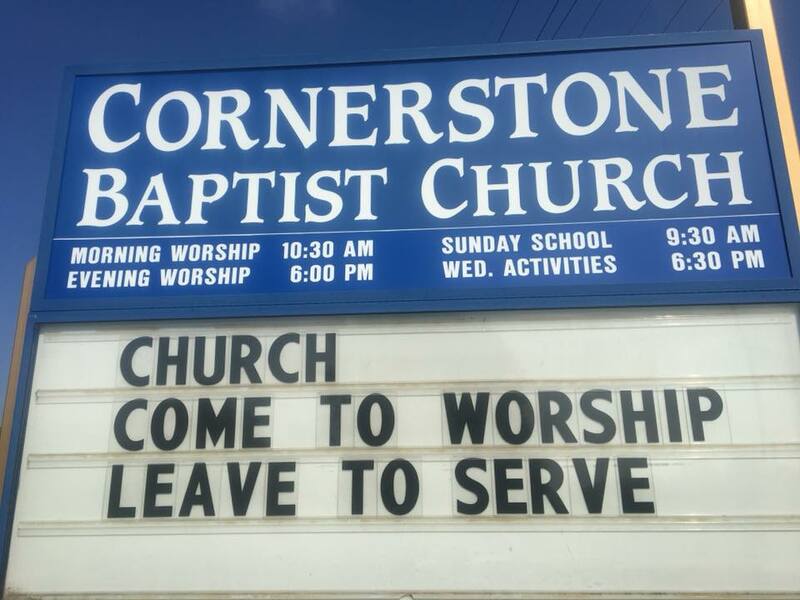 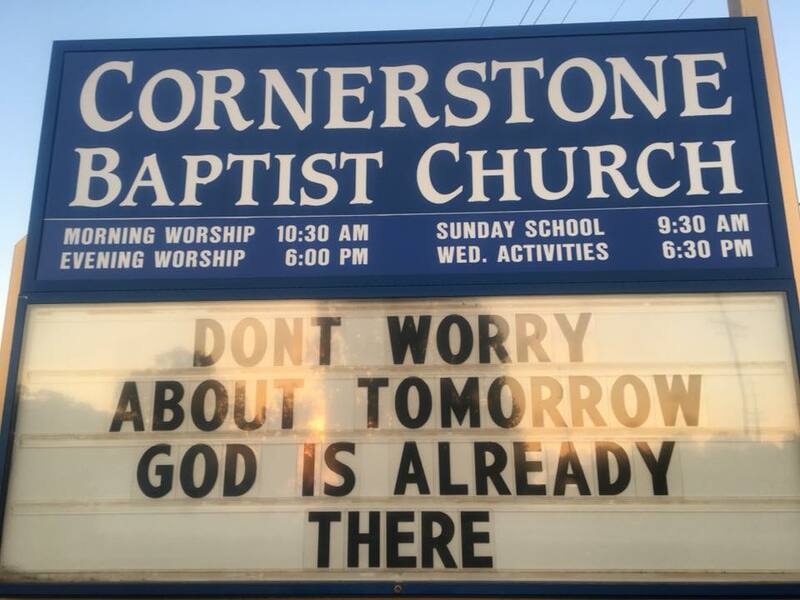 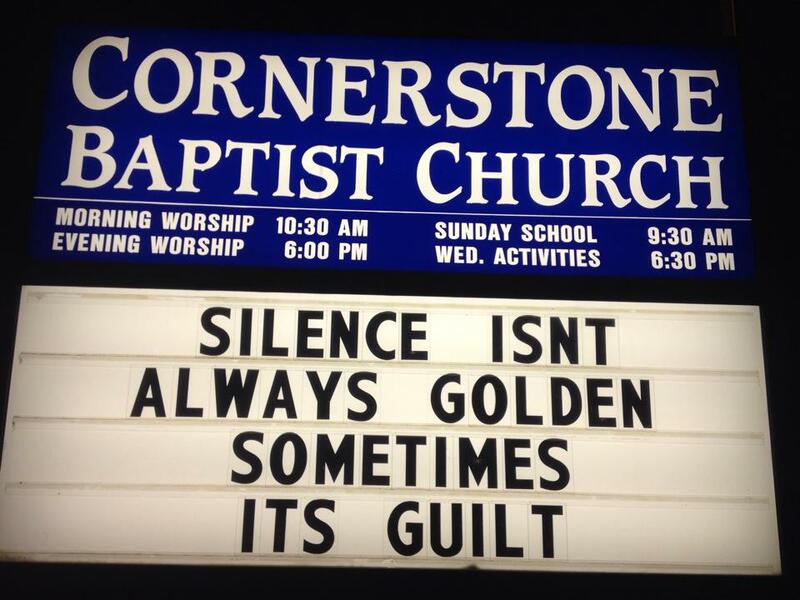 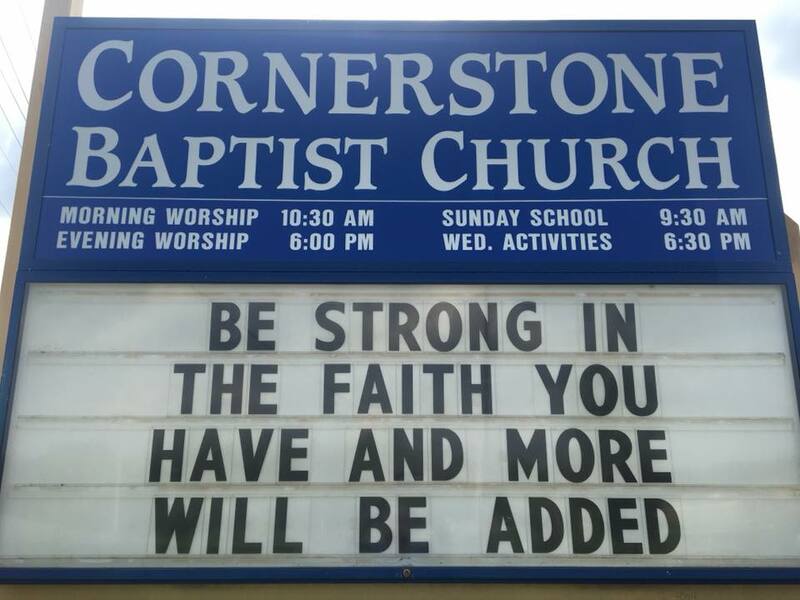 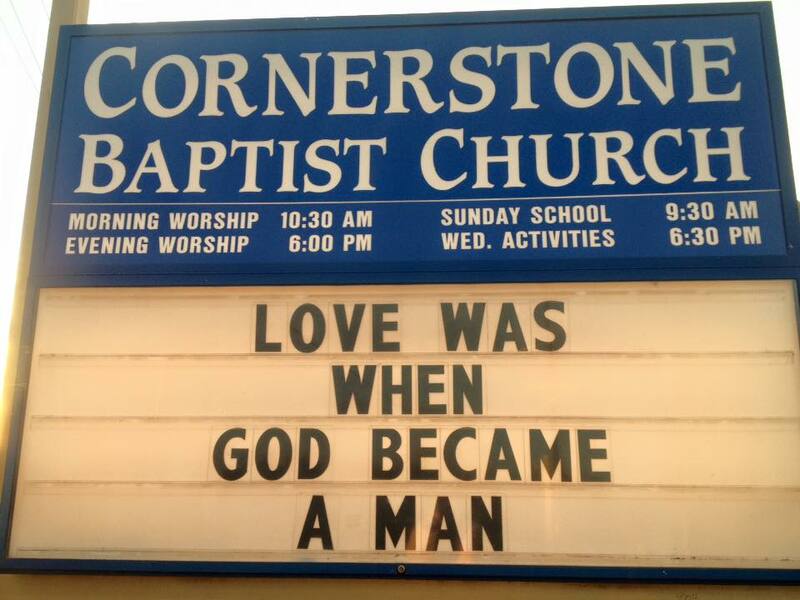 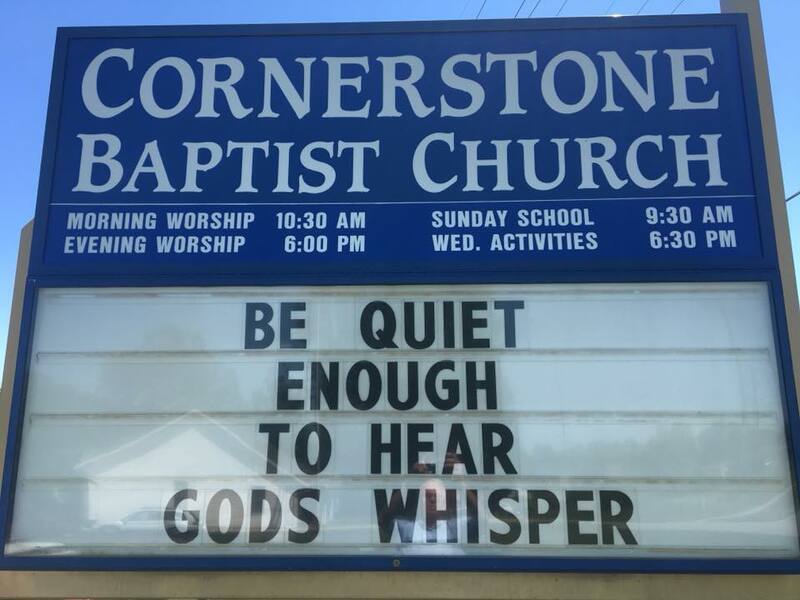 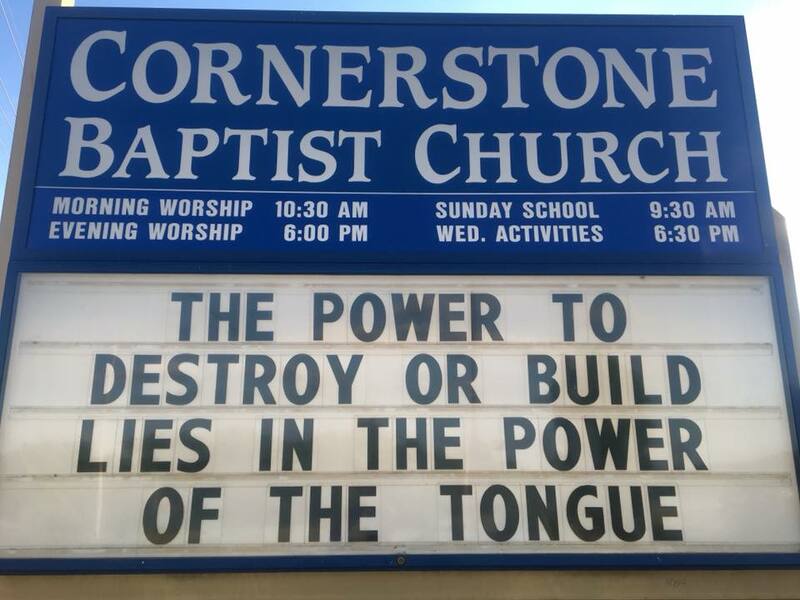 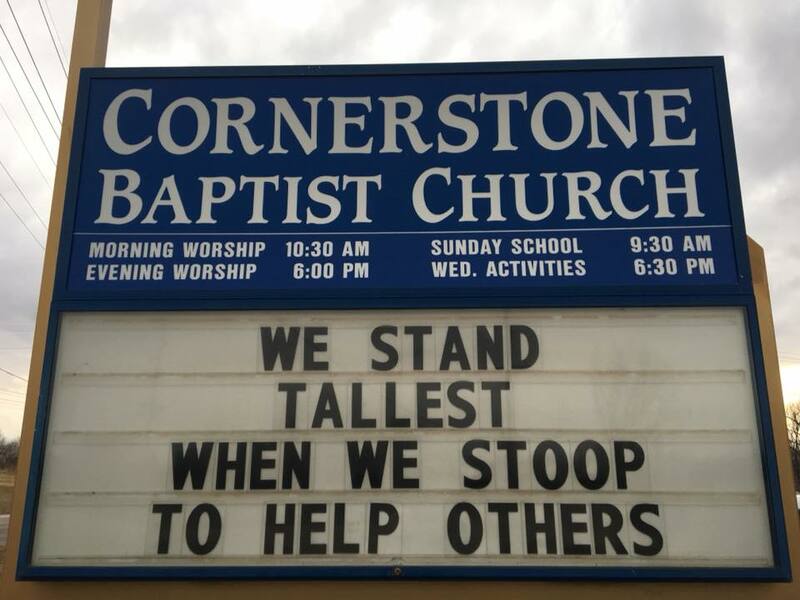 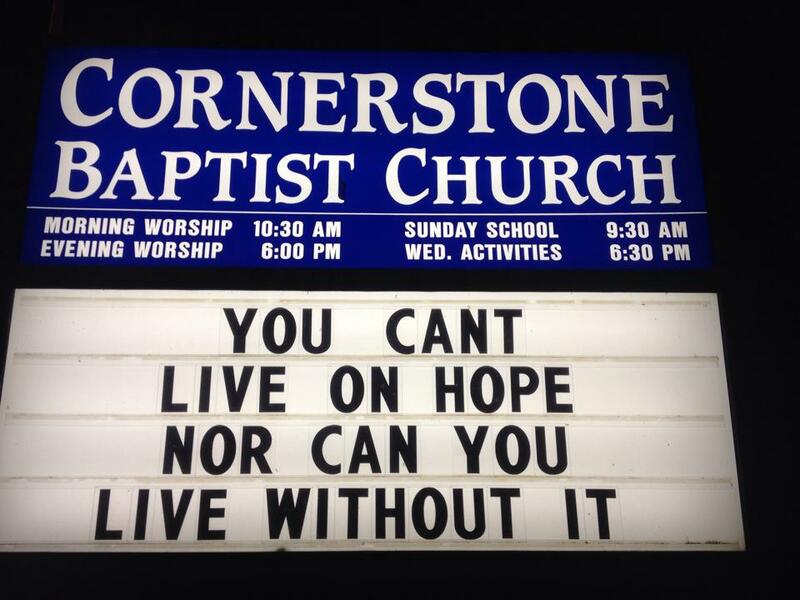 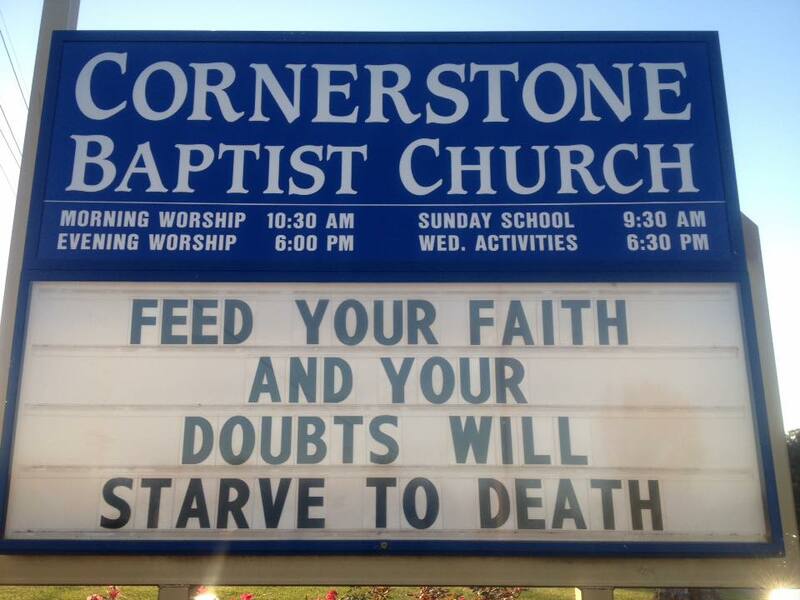 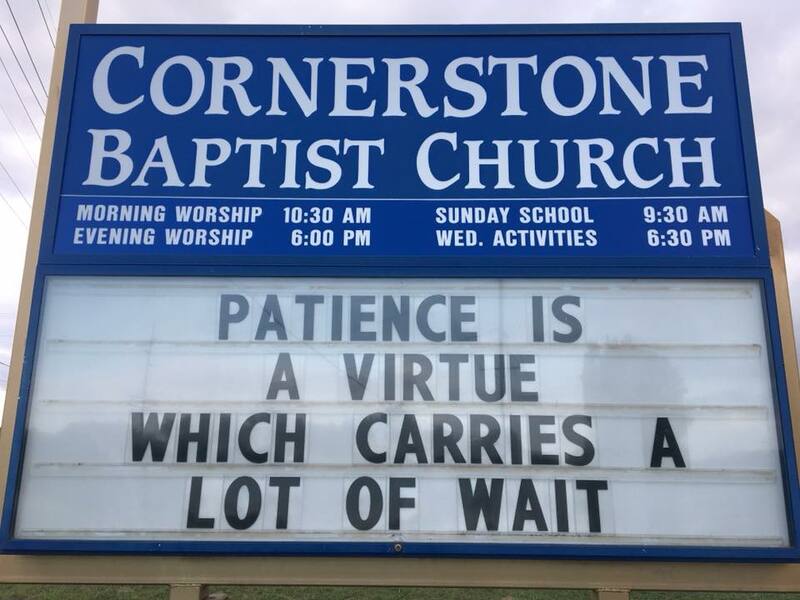 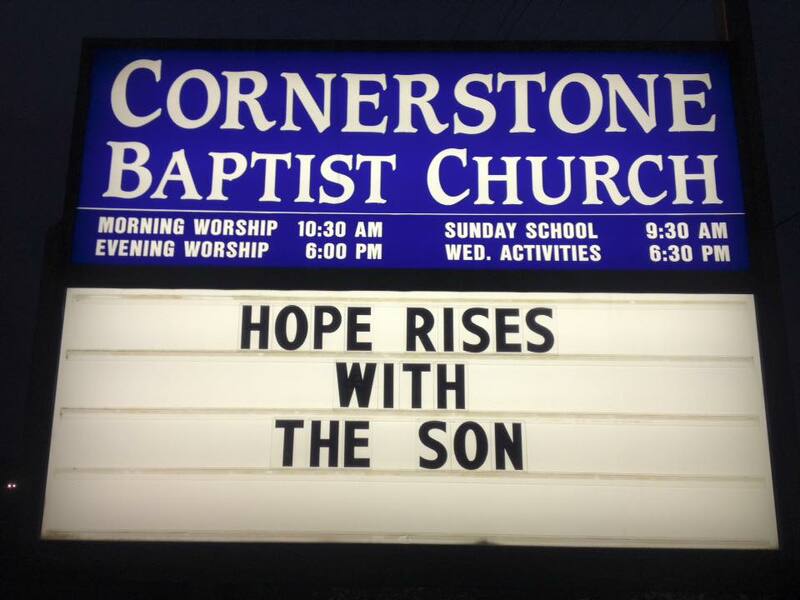 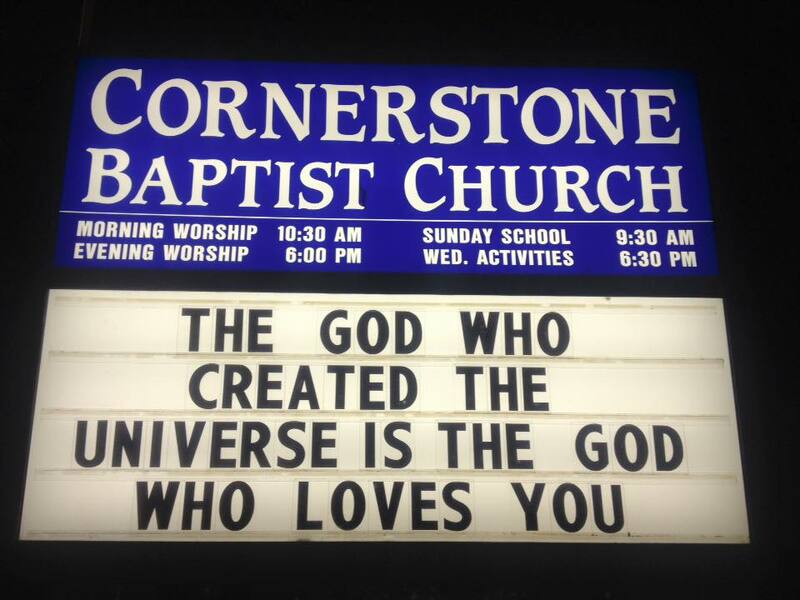 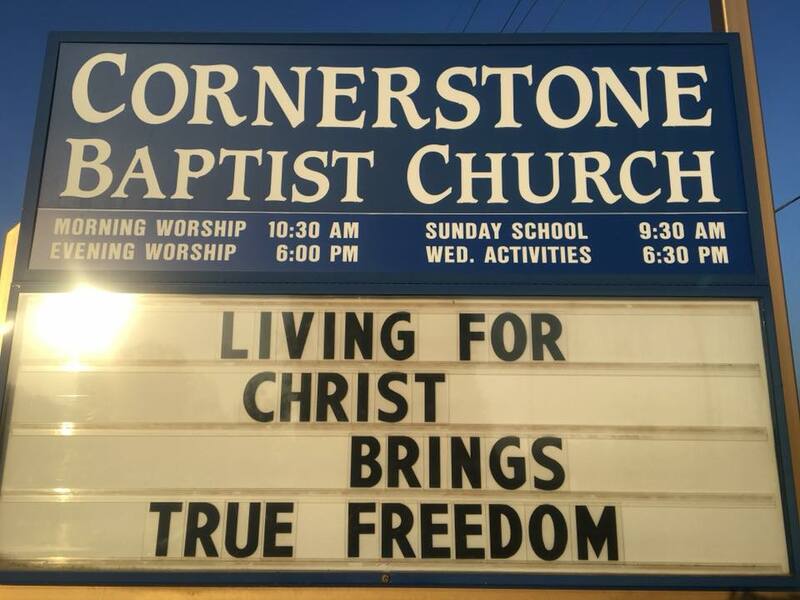 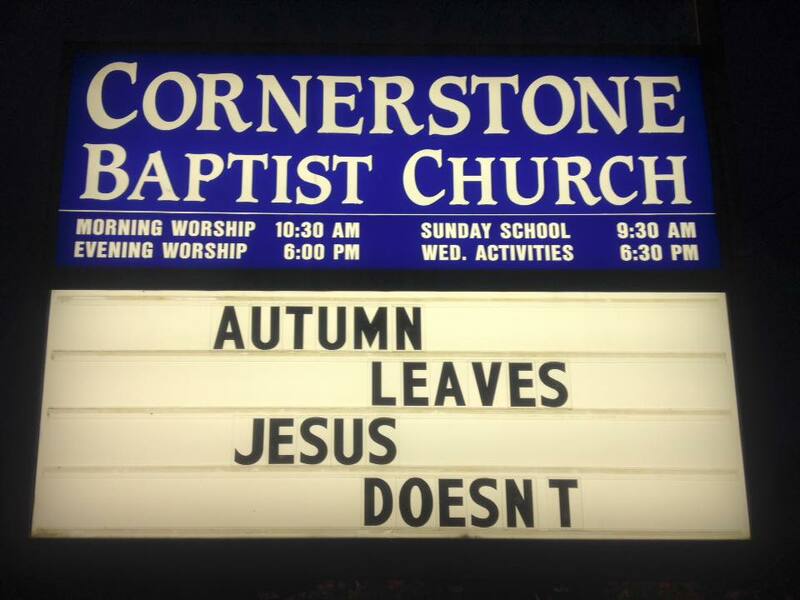 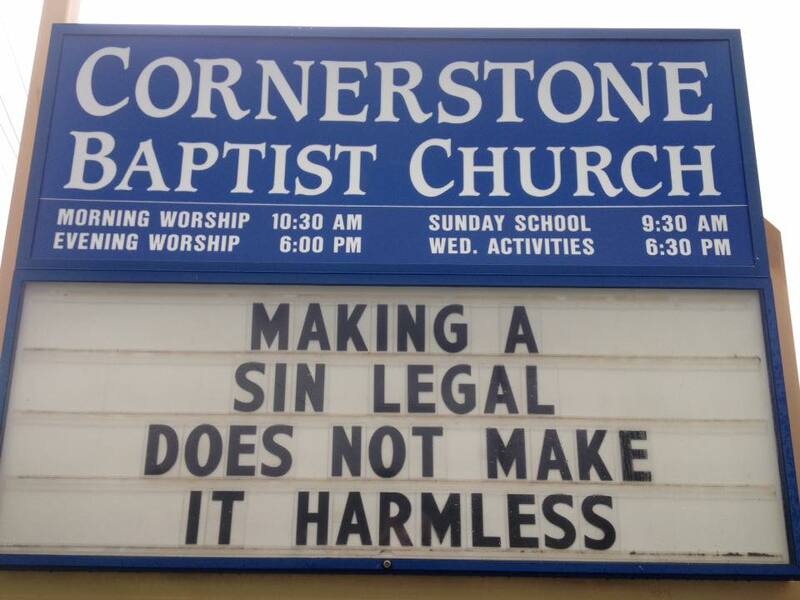 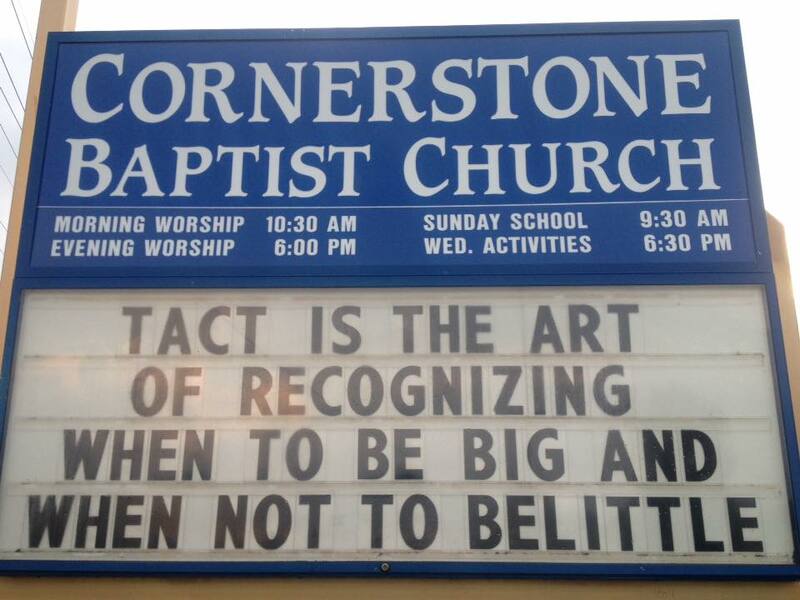 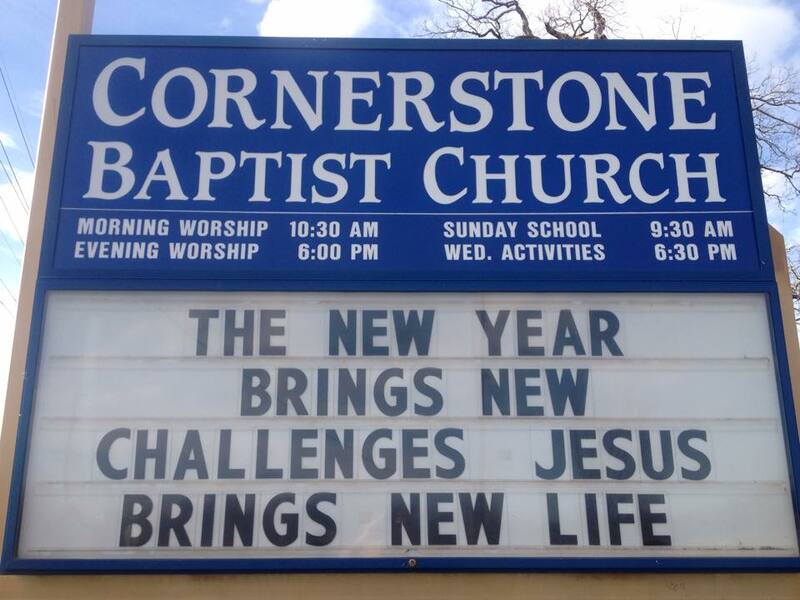 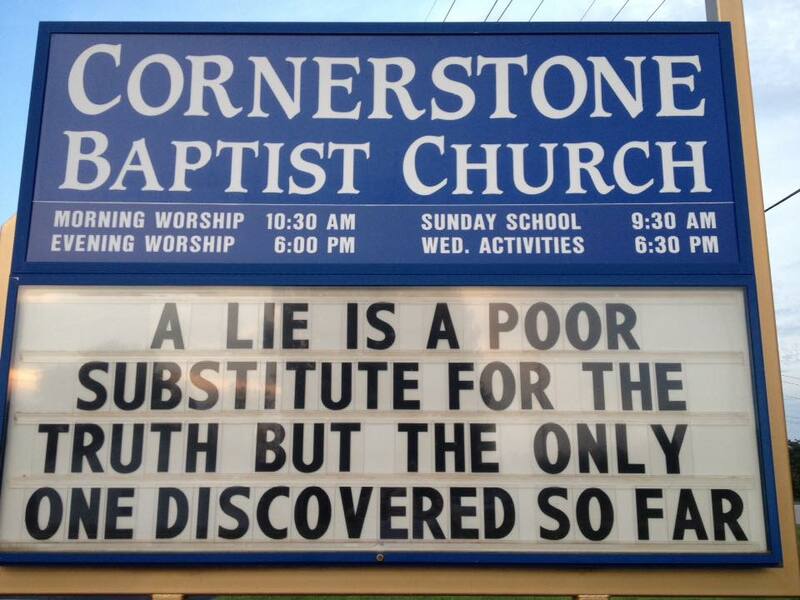 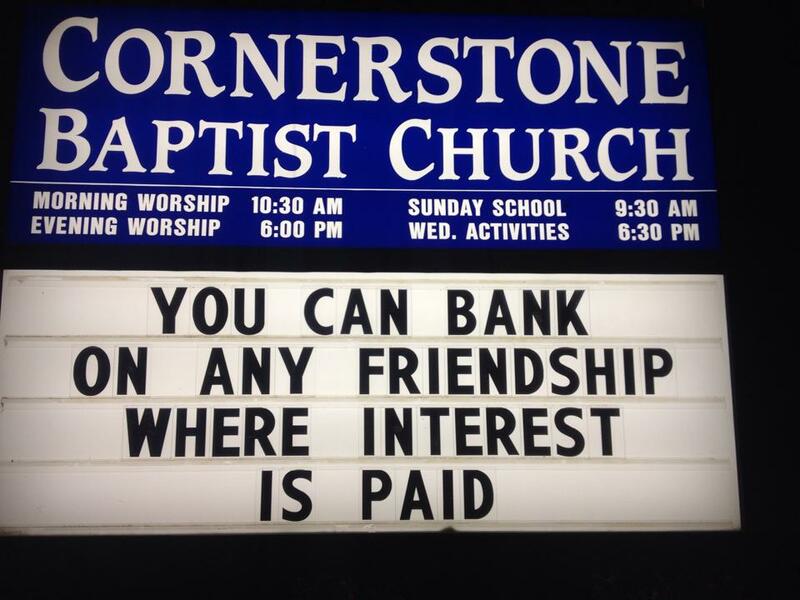 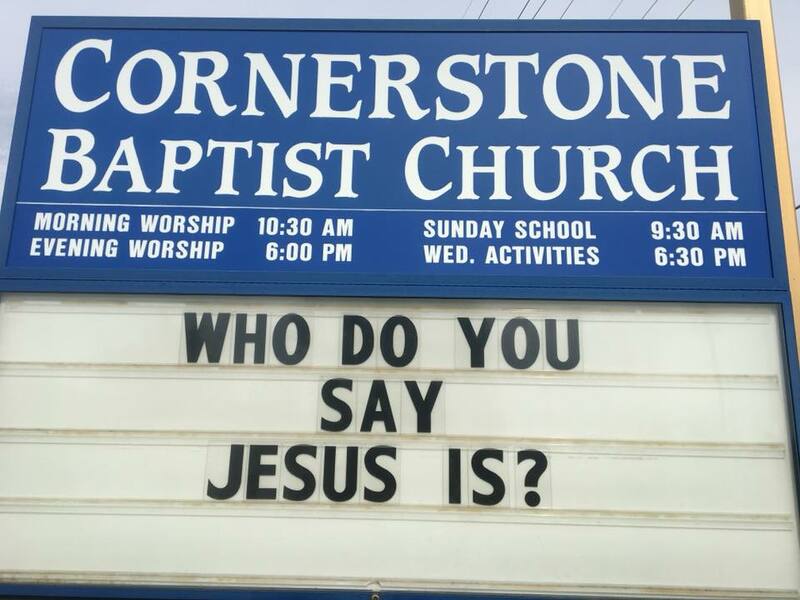 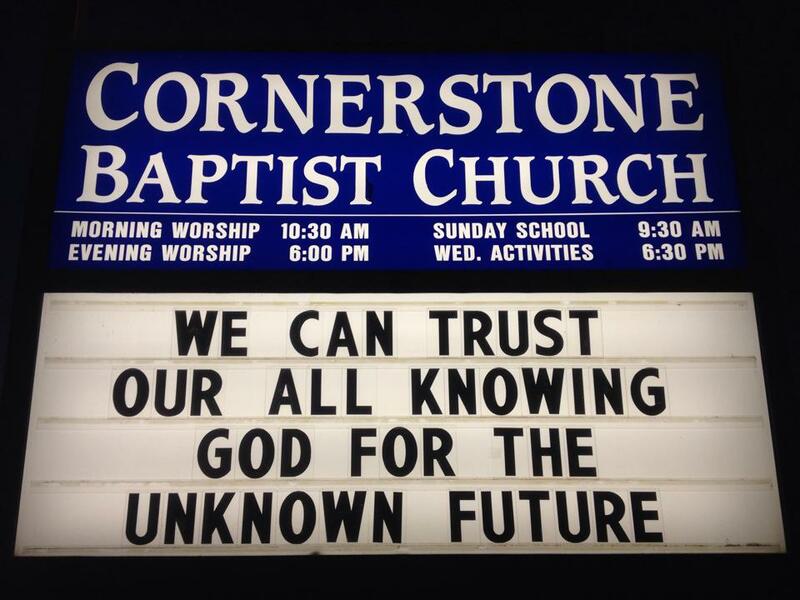 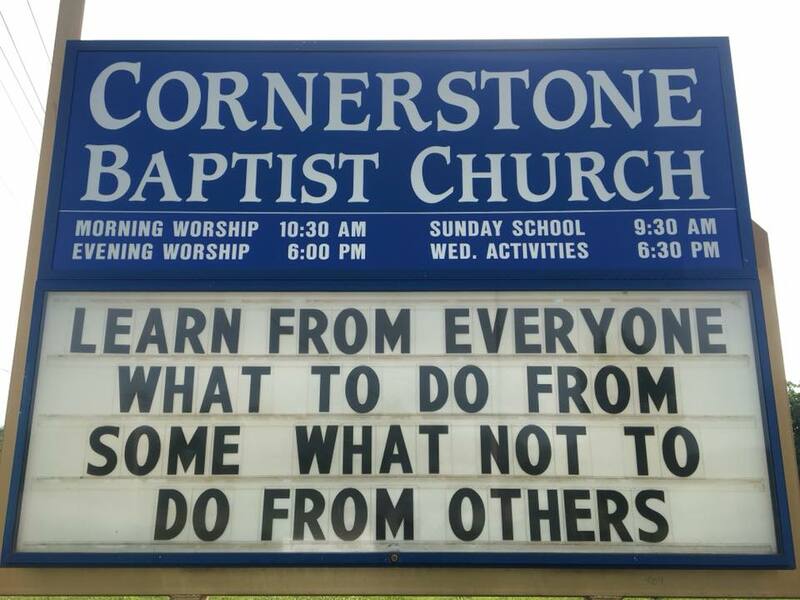 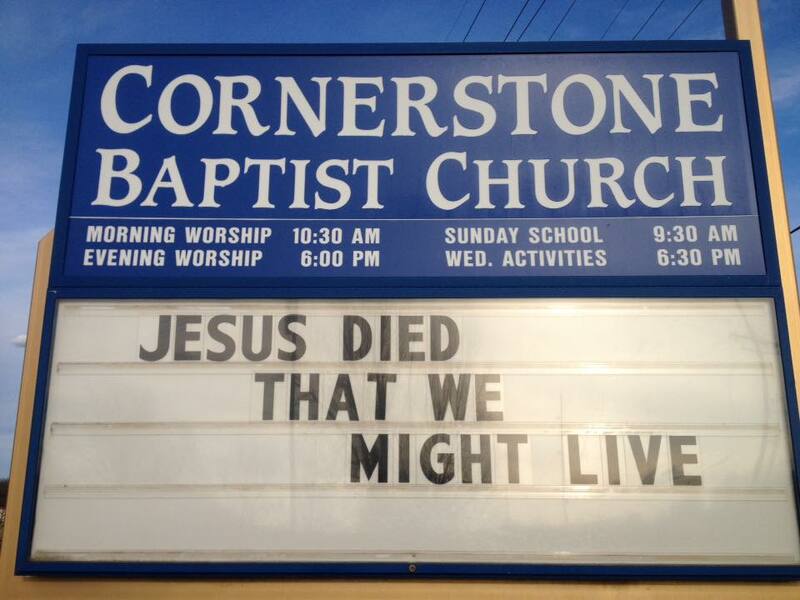 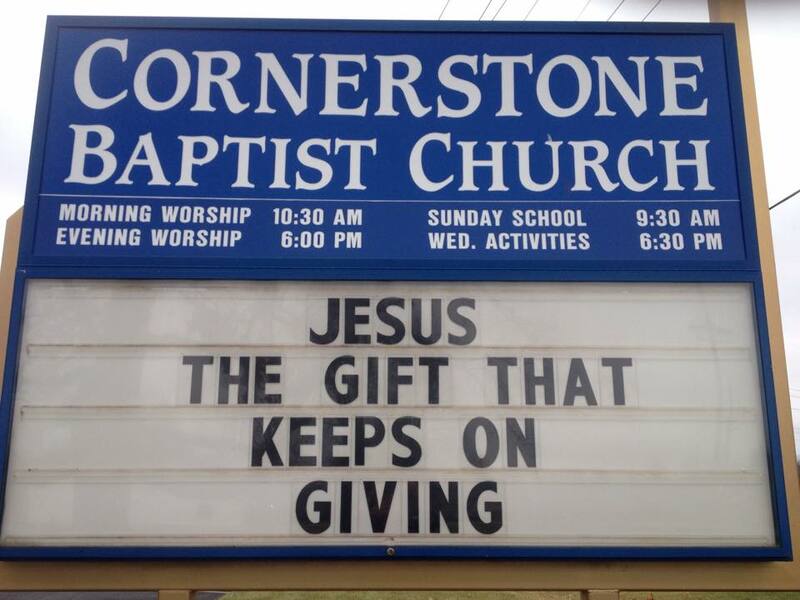 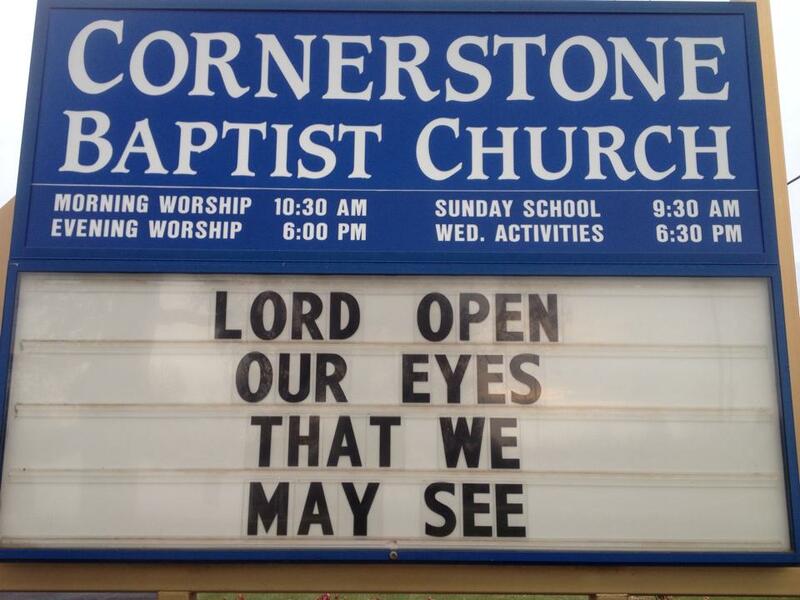 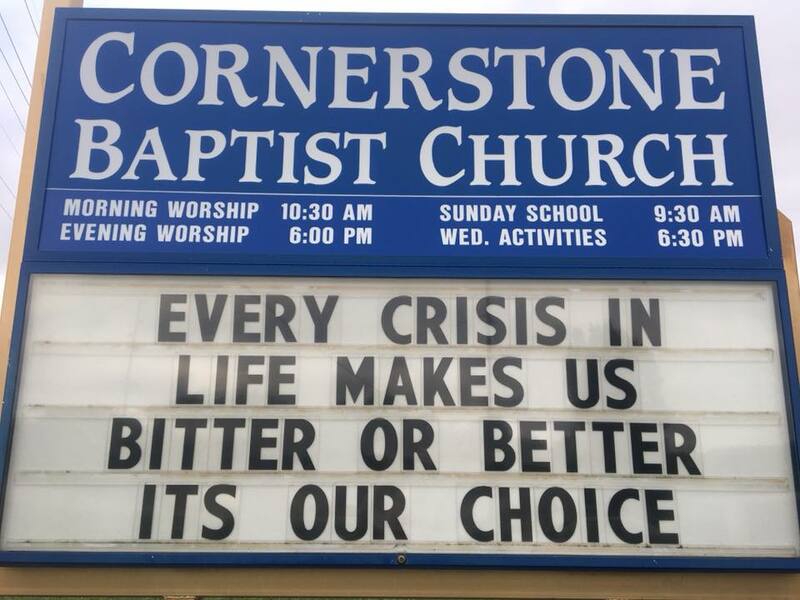 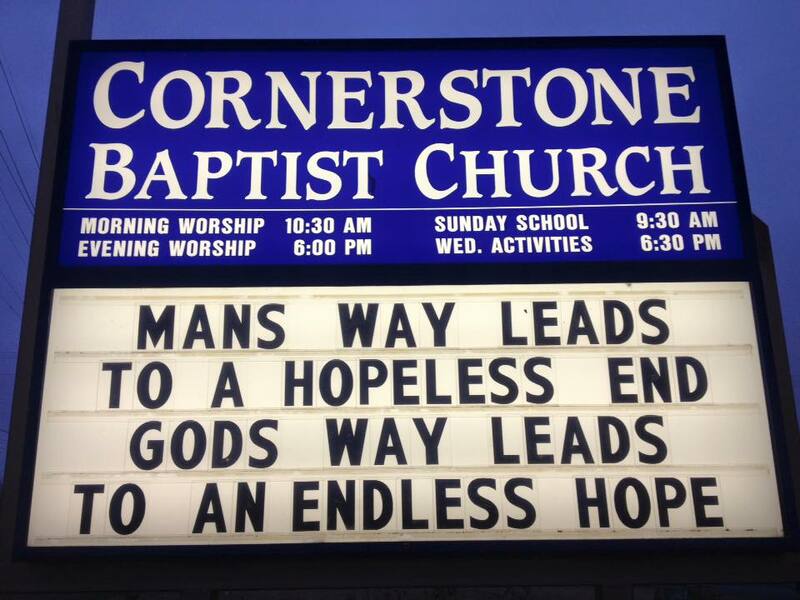 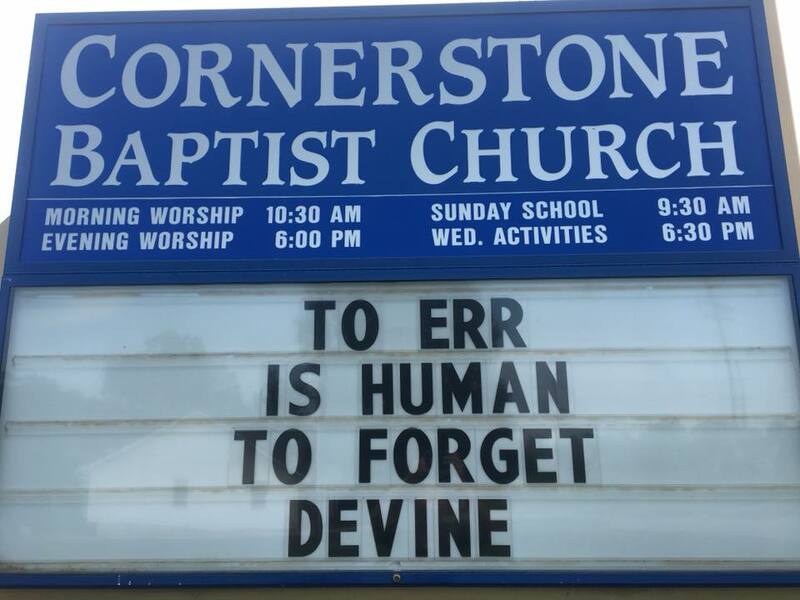 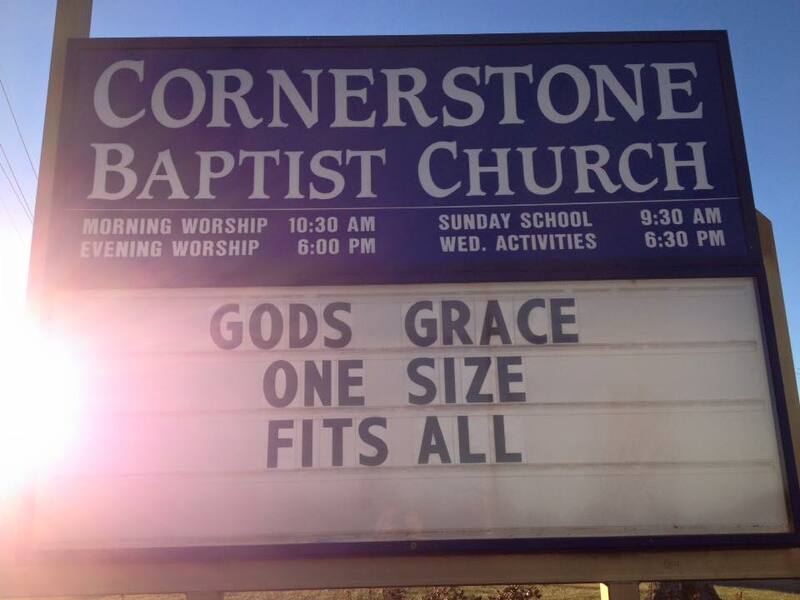 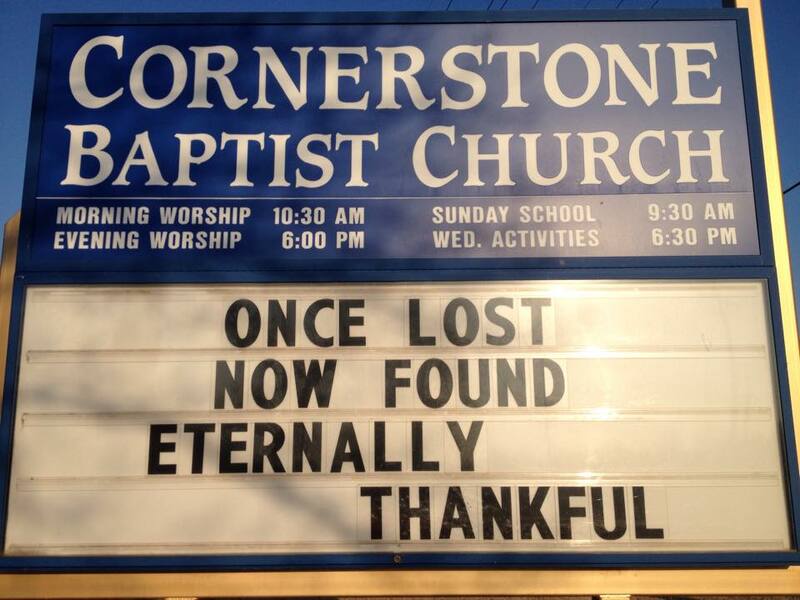 For many years, one of Cornerstone’s members, Joe Davis, has faithfully posted messages on the Church Sign in front of the church. 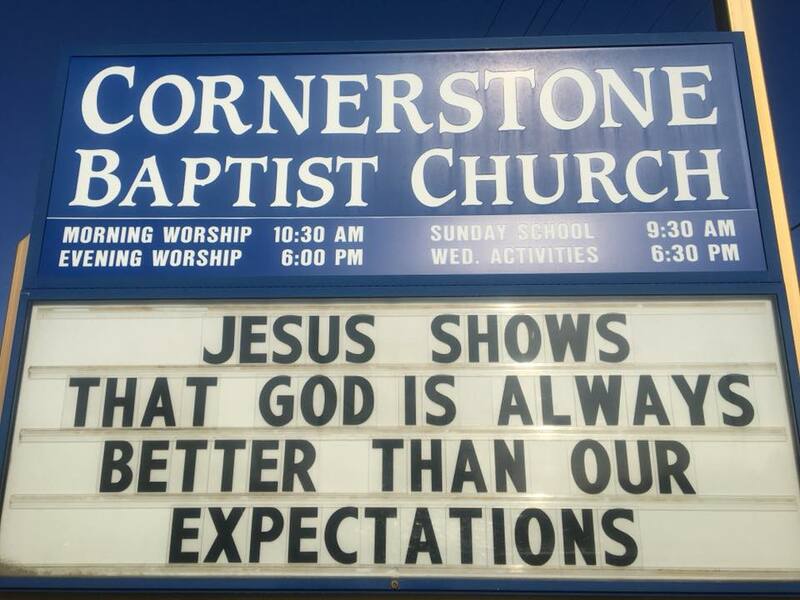 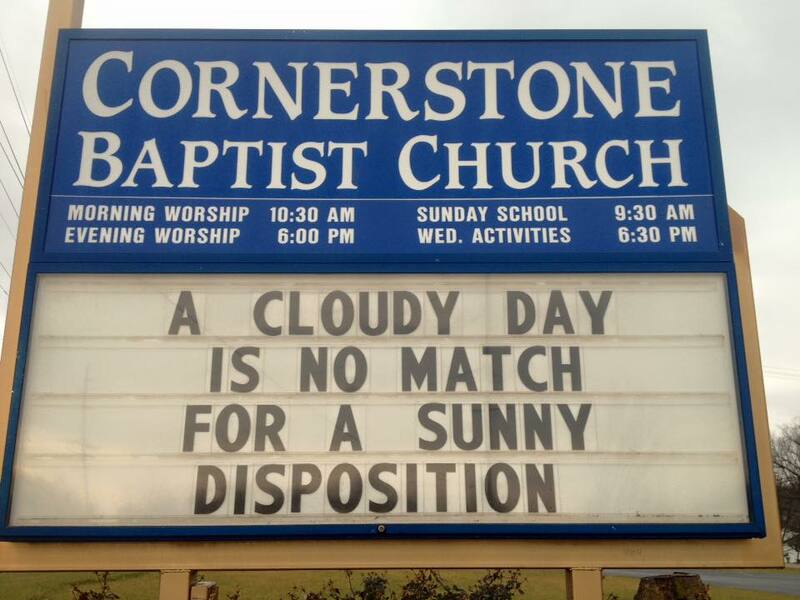 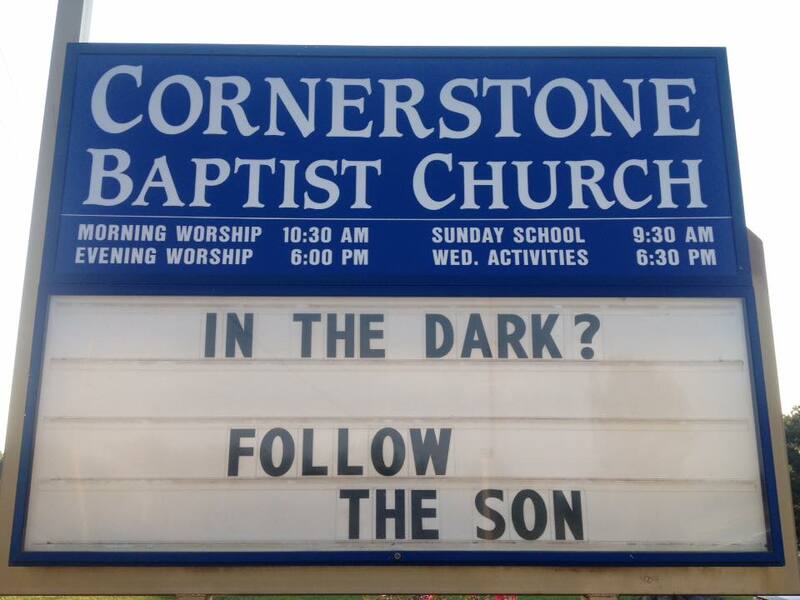 No matter the weather, every 10 days or so, a new sermon sign appears with a message that encourages, challenges, enlightens and convicts. 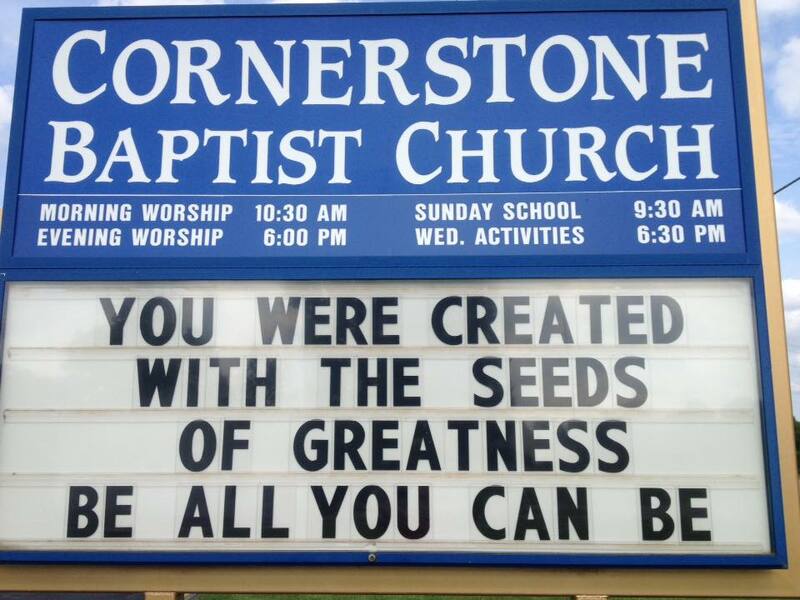 God has used this ministry in a remarkable way! 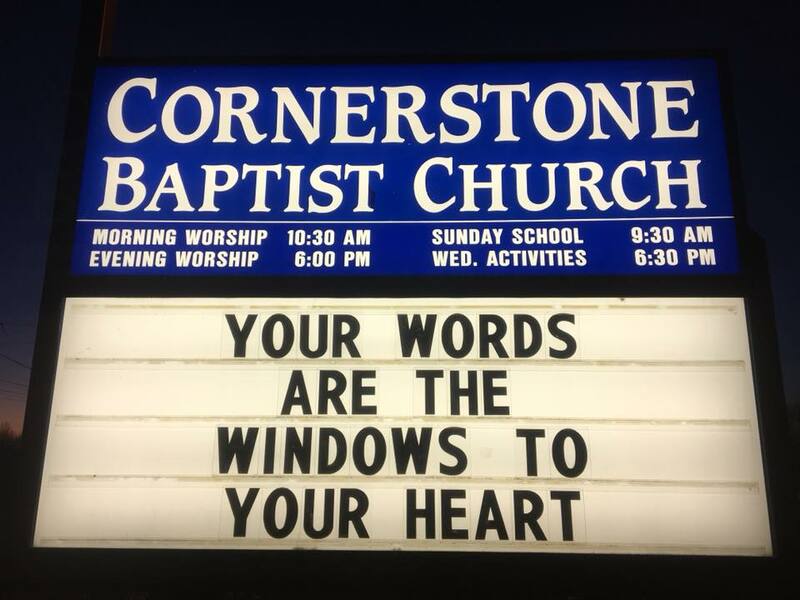 It is quite common for people in the community to comment on how much they appreciate the messages they see as they pass by the church in the course of their daily lives. 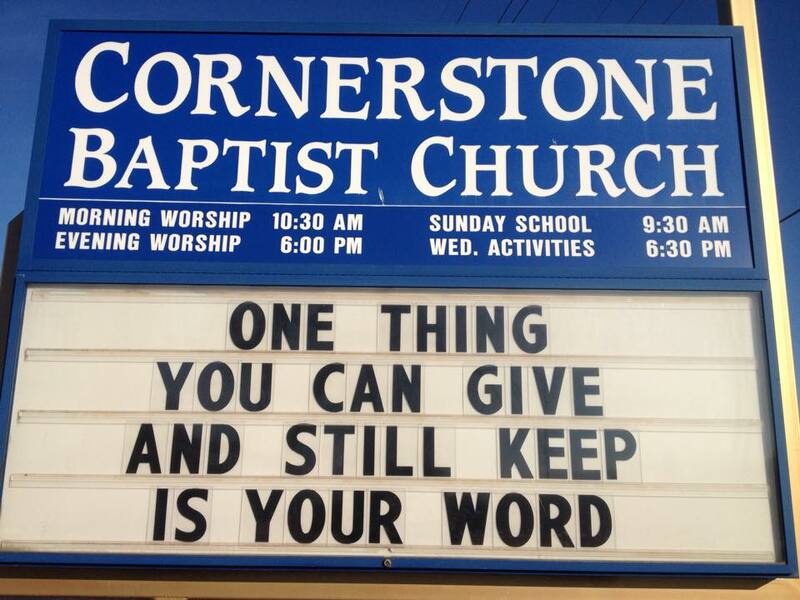 In the gallery above you see just a few of the signs Joe has posted over the years. 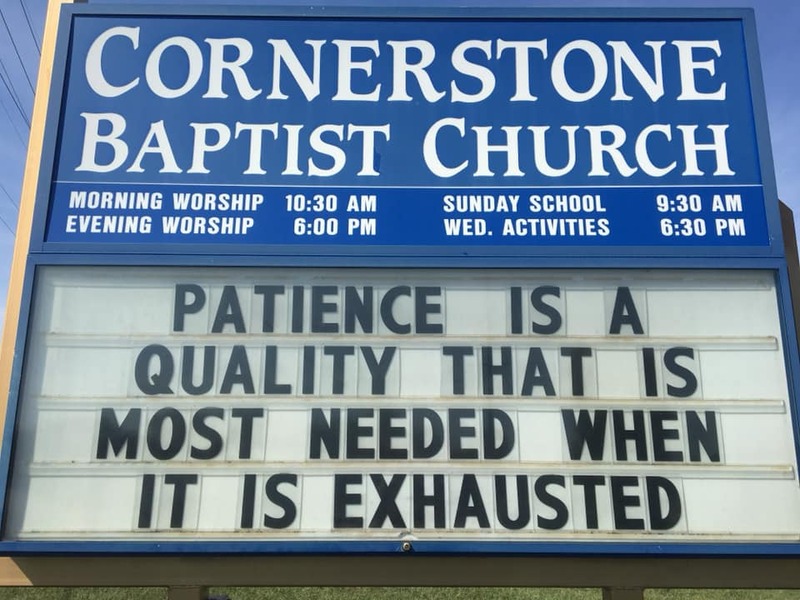 We will keep adding to the gallery as new messages are posted! 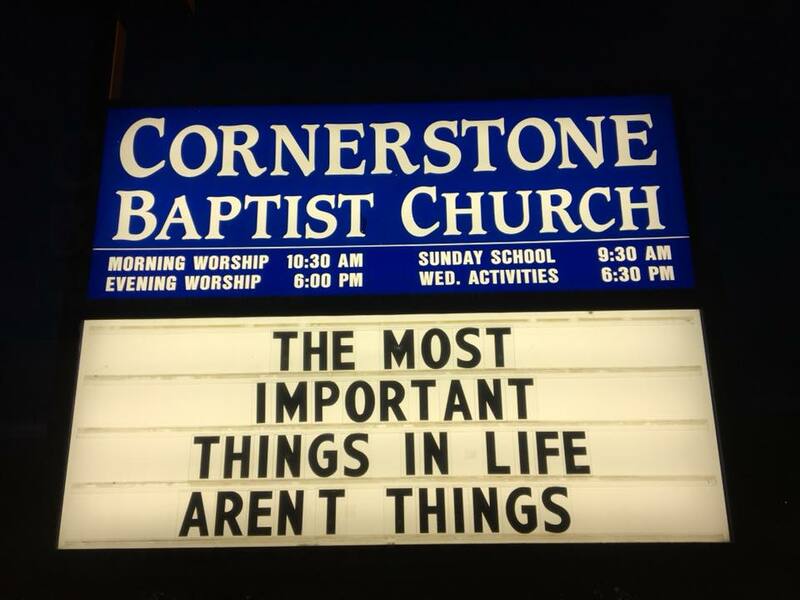 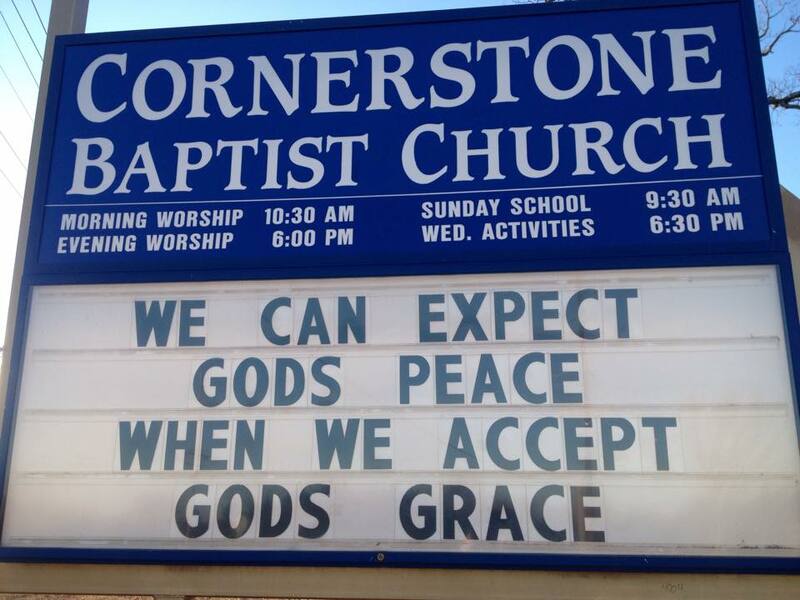 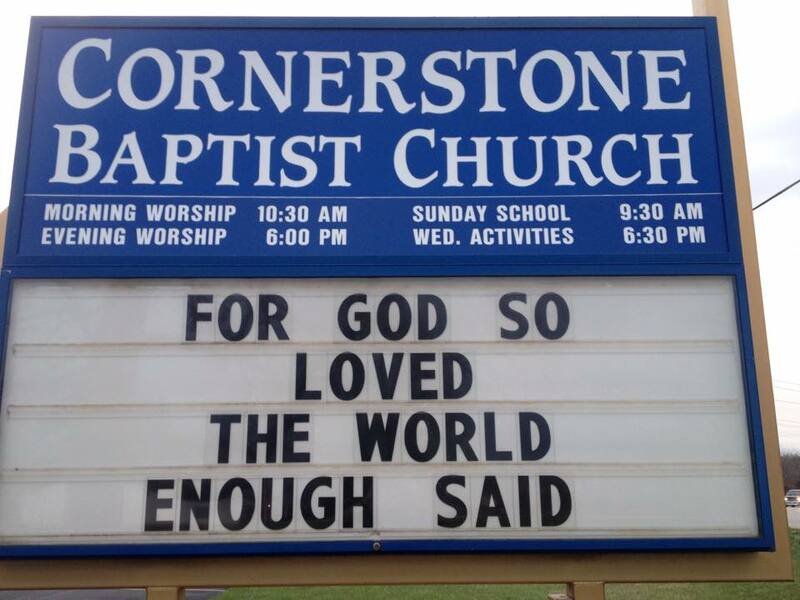 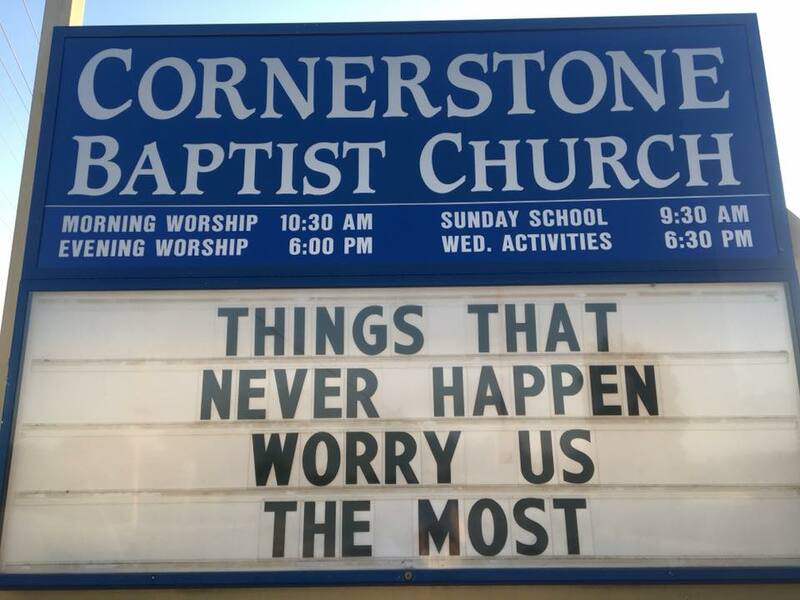 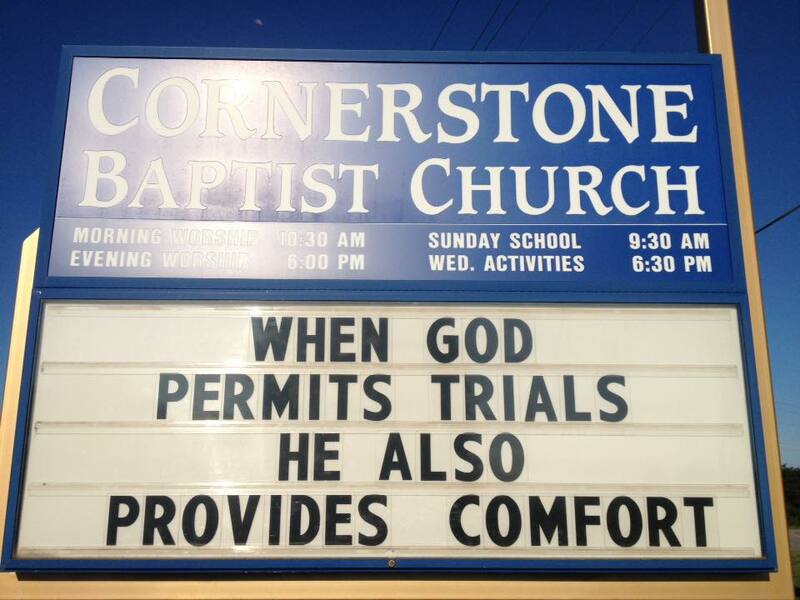 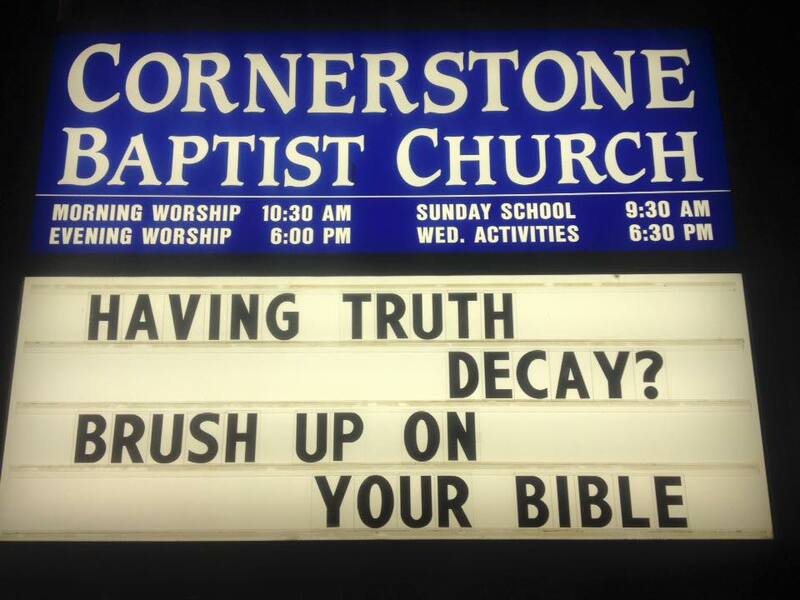 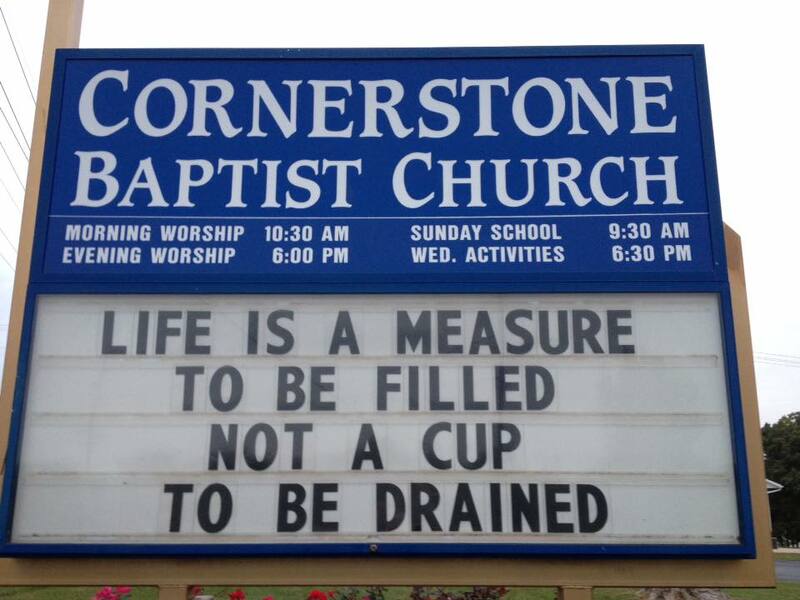 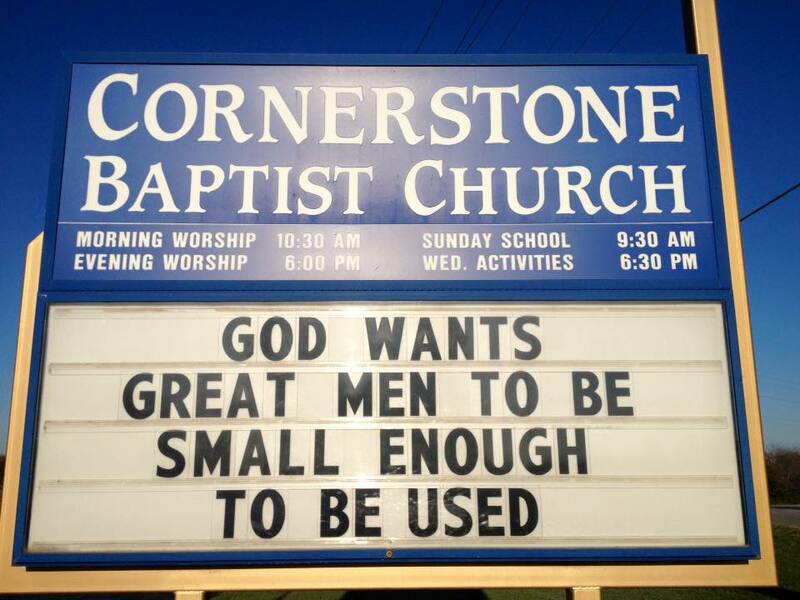 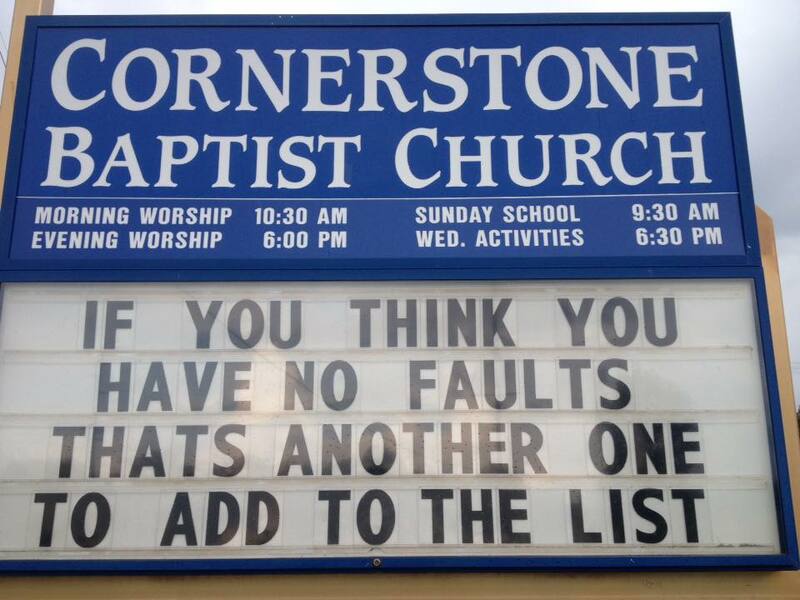 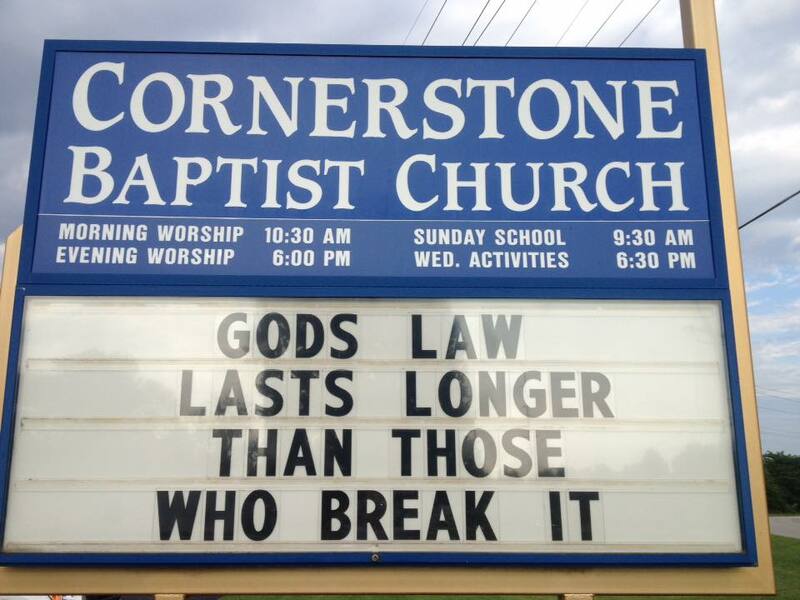 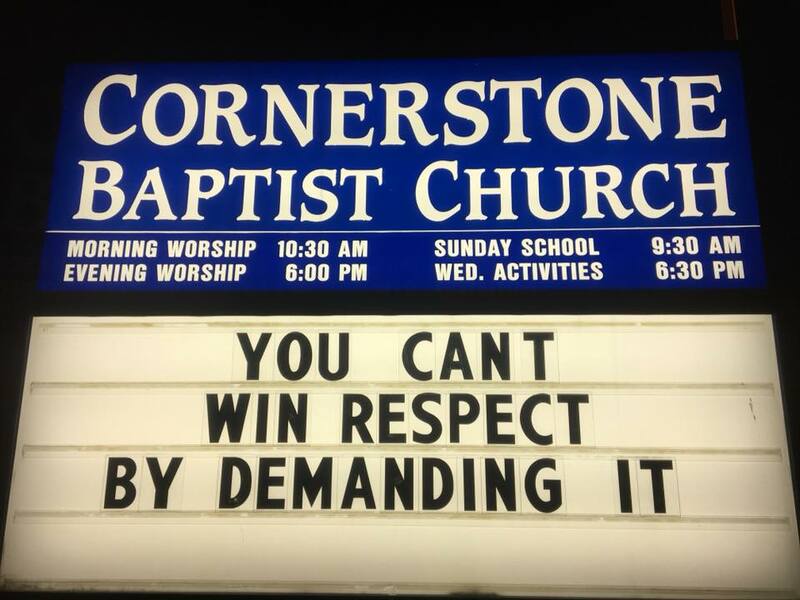 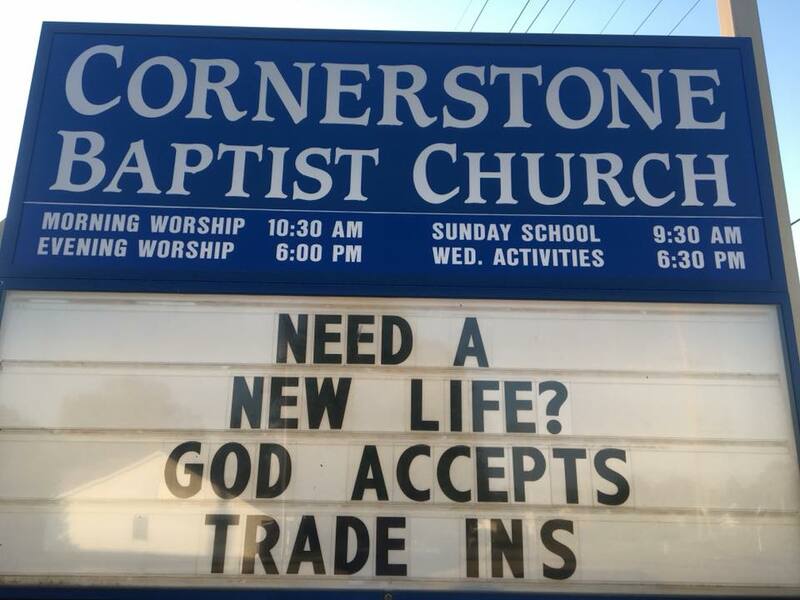 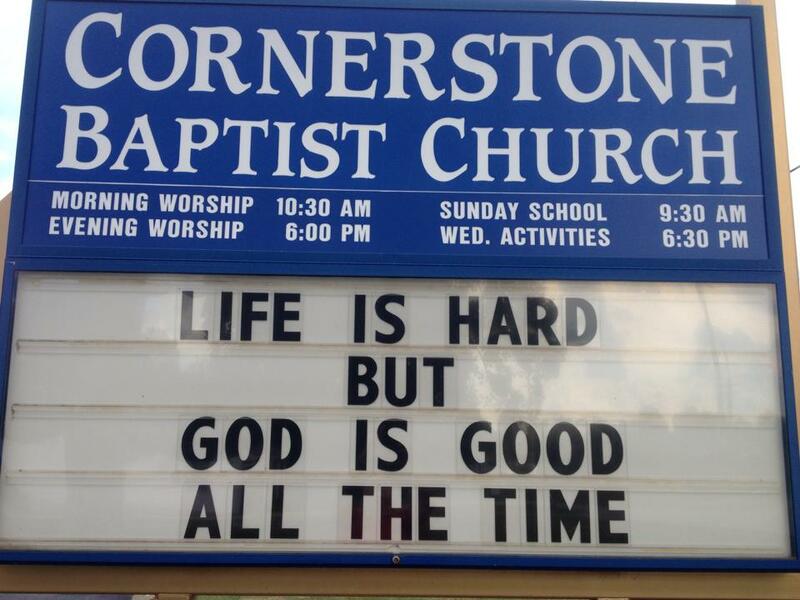 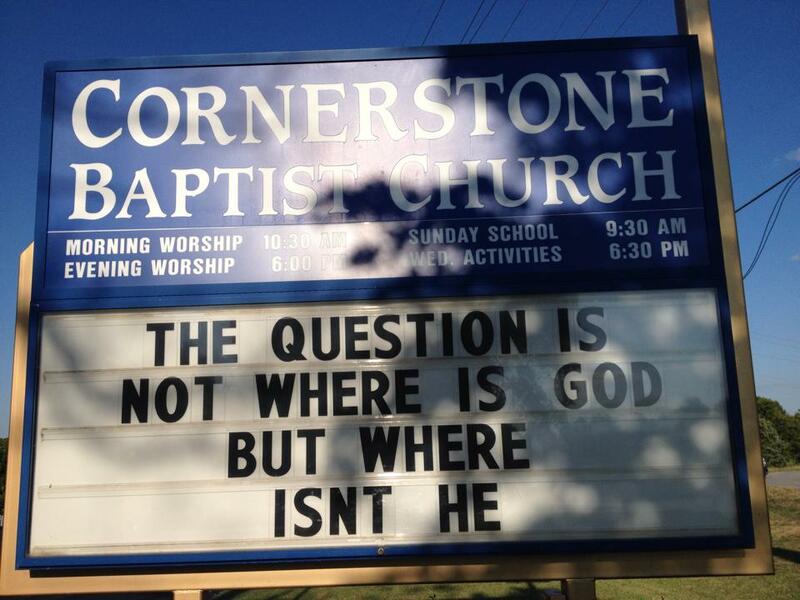 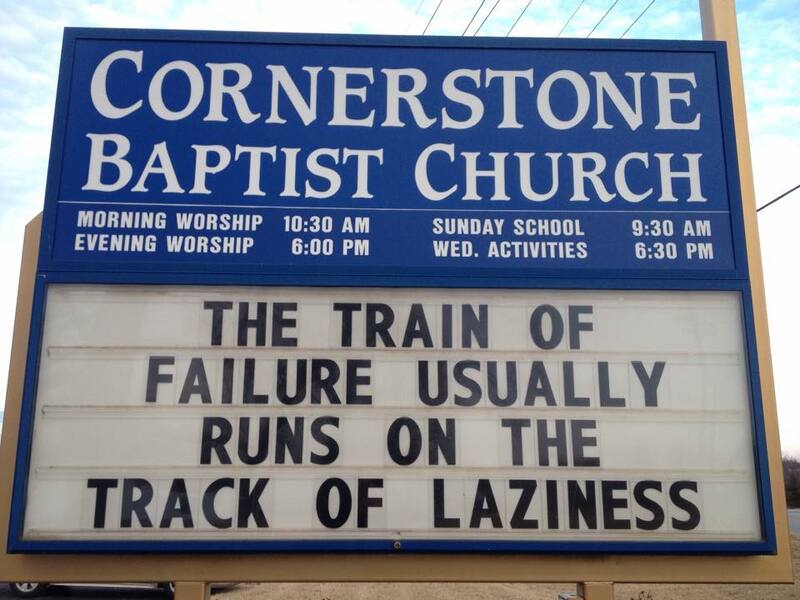 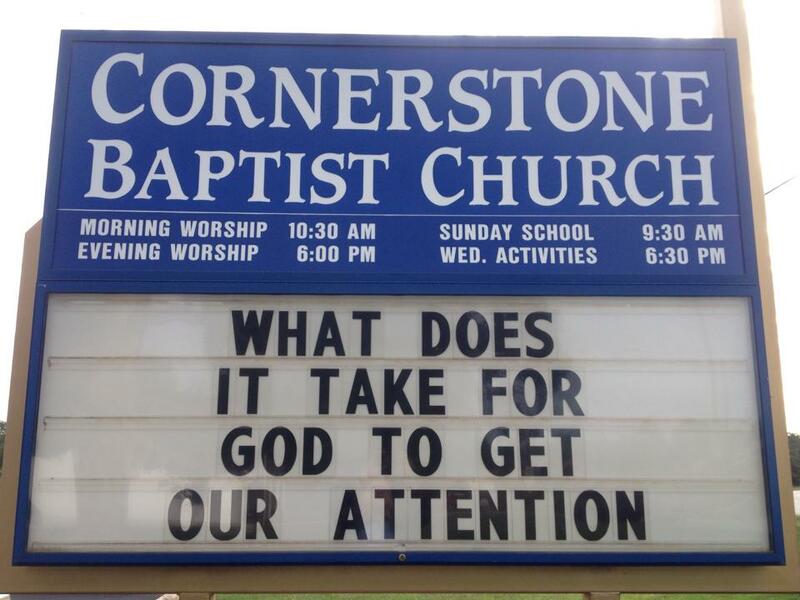 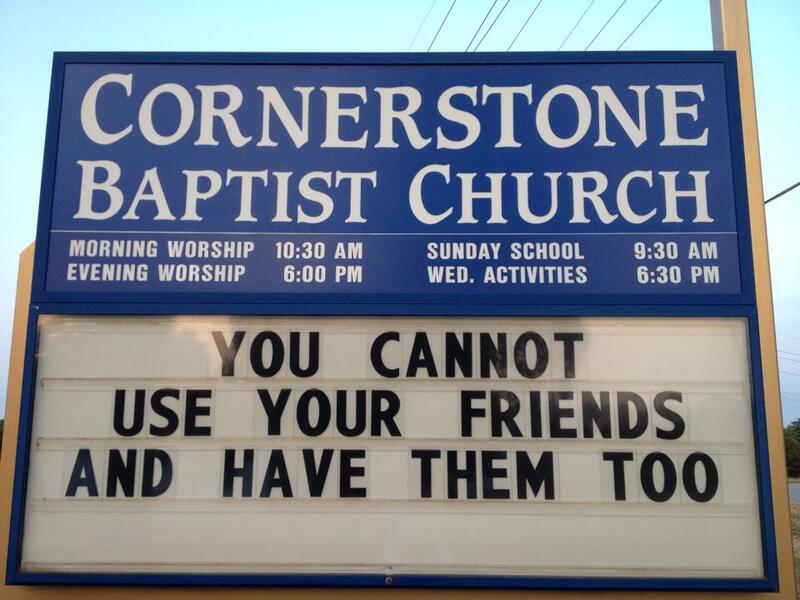 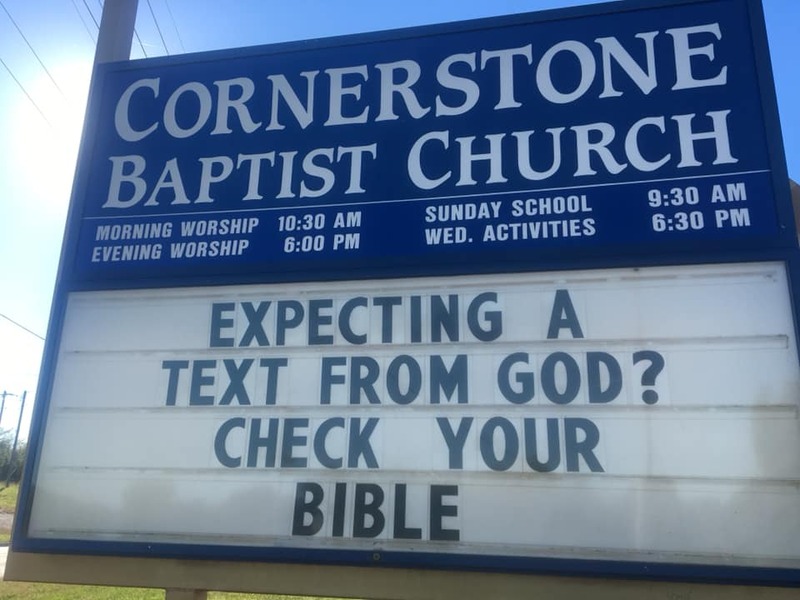 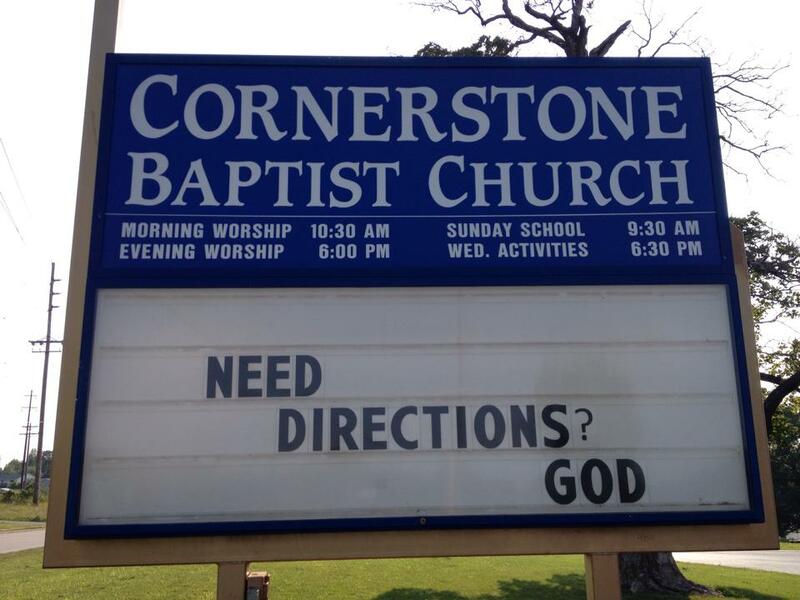 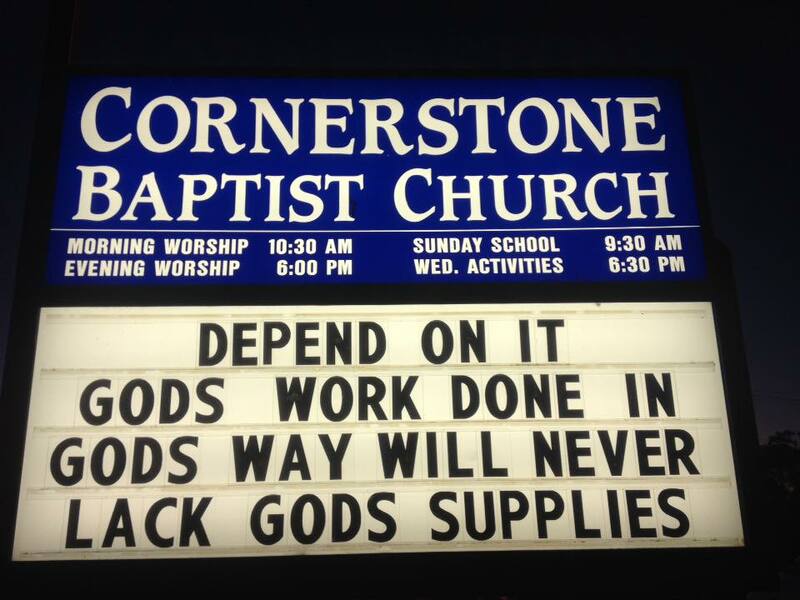 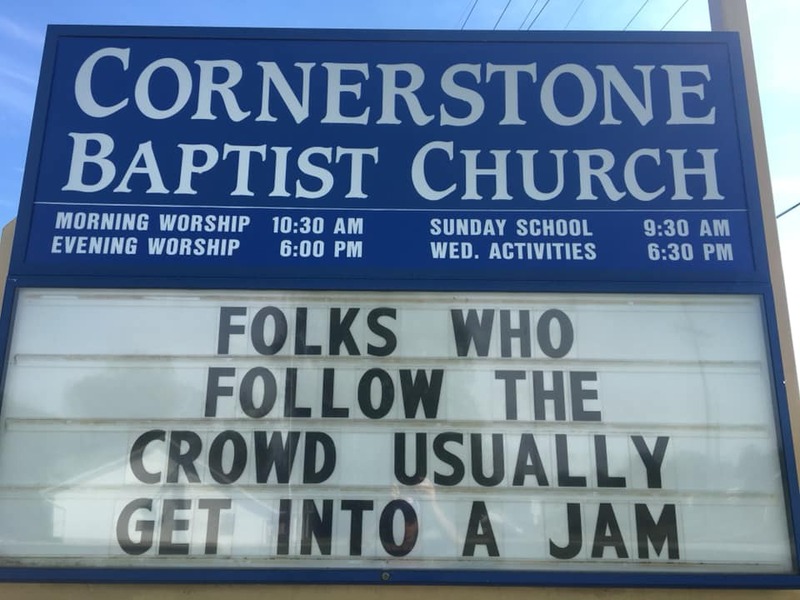 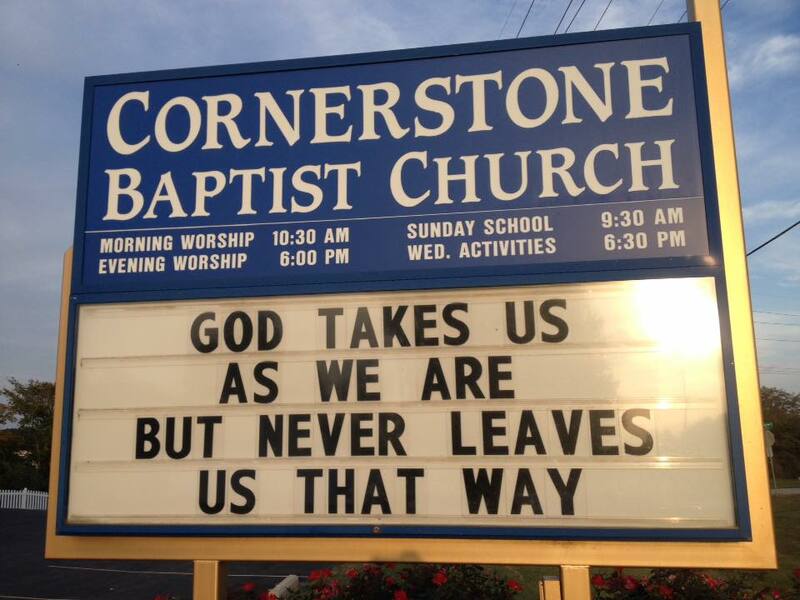 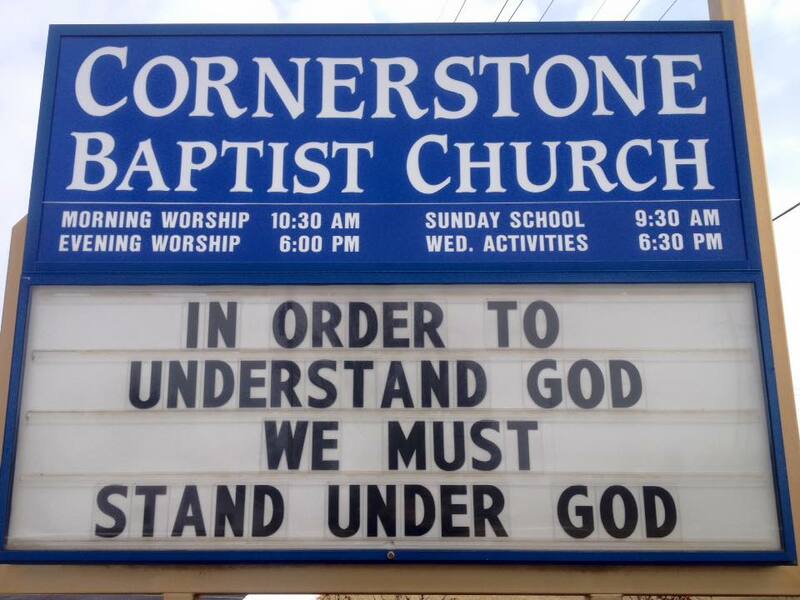 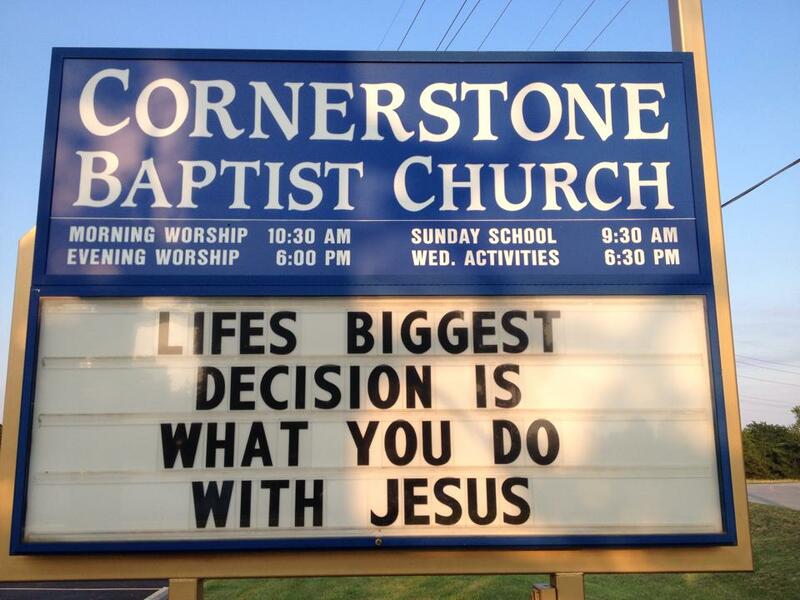 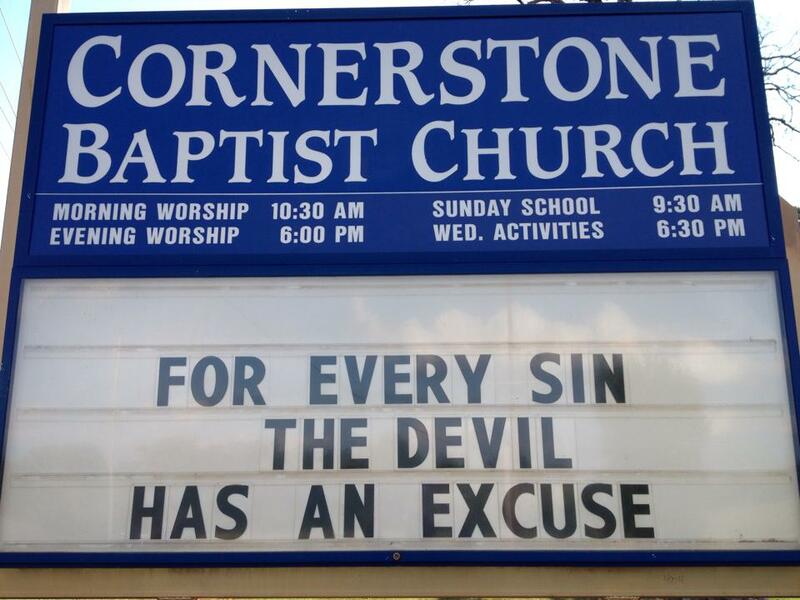 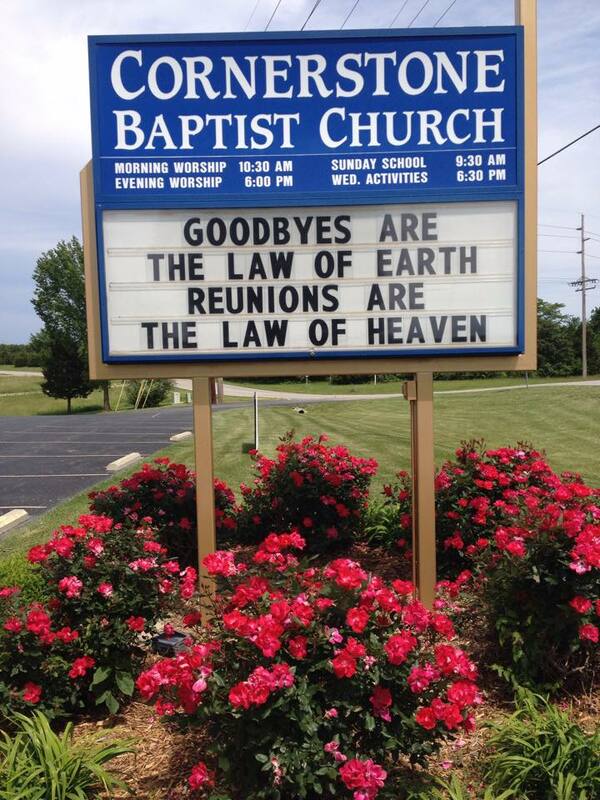 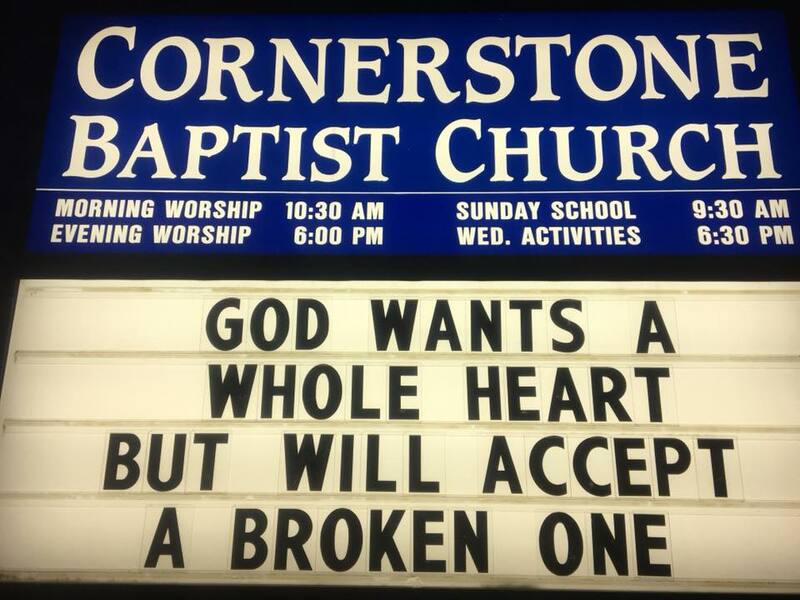 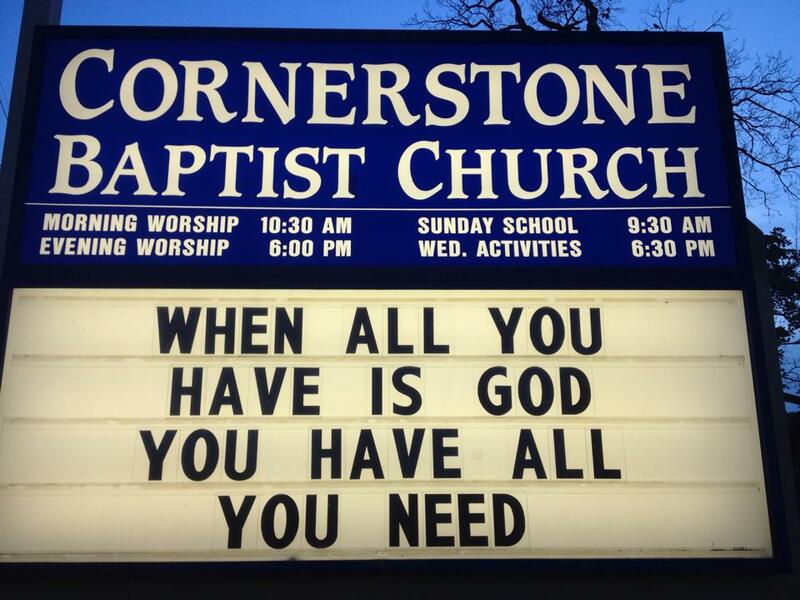 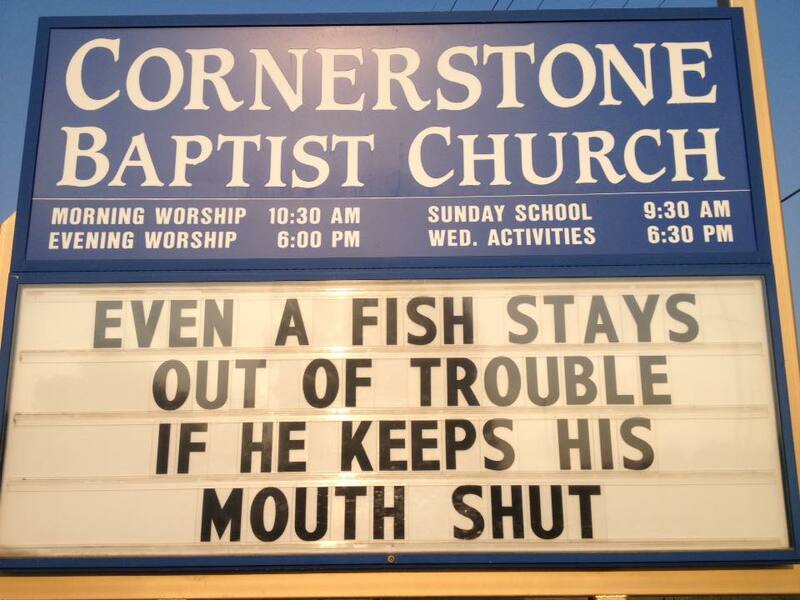 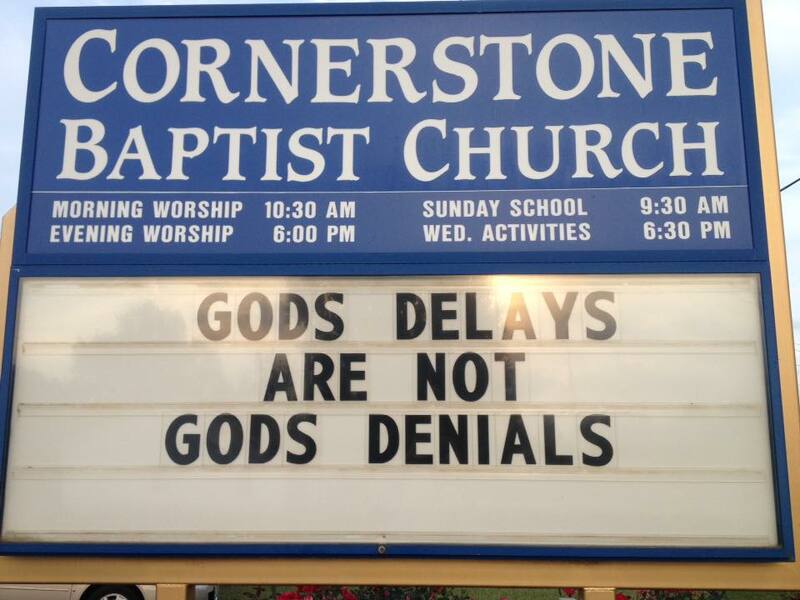 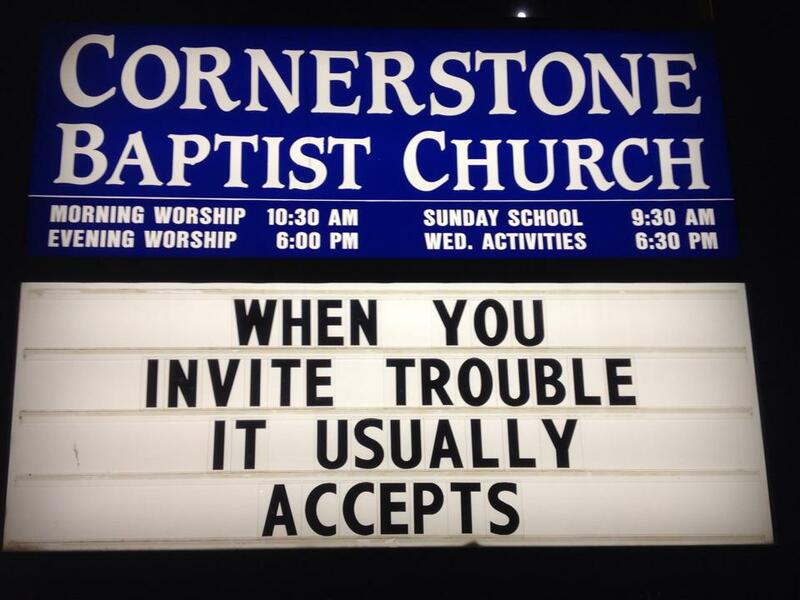 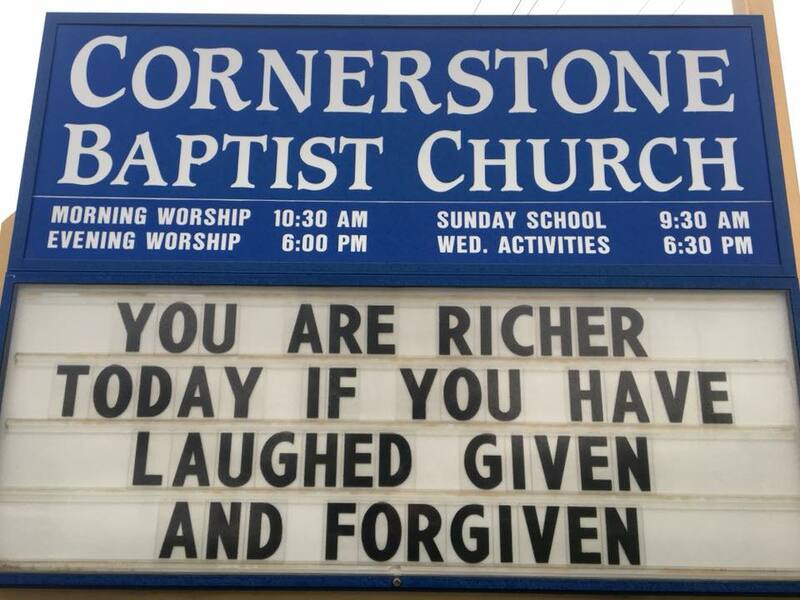 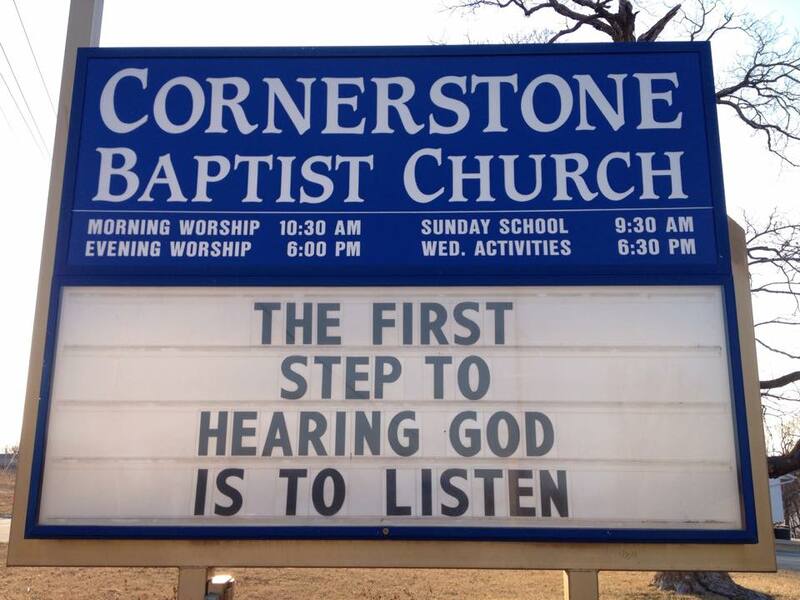 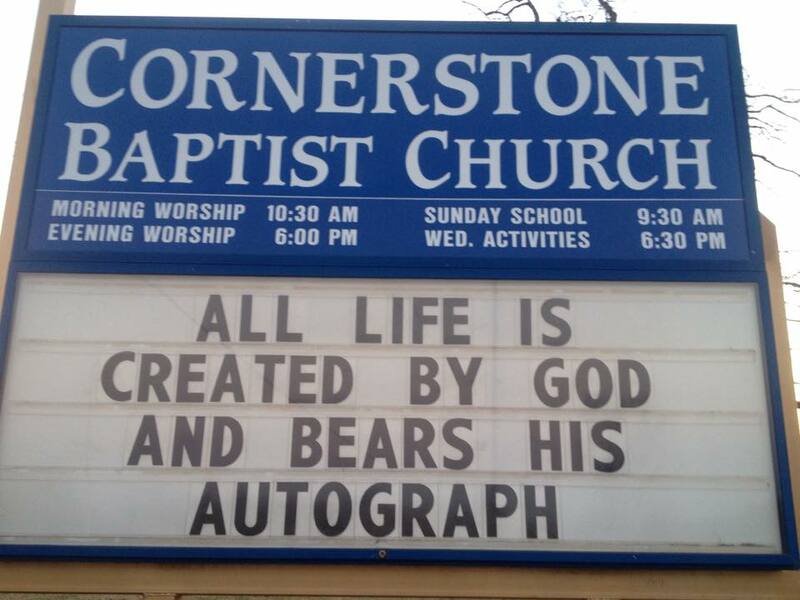 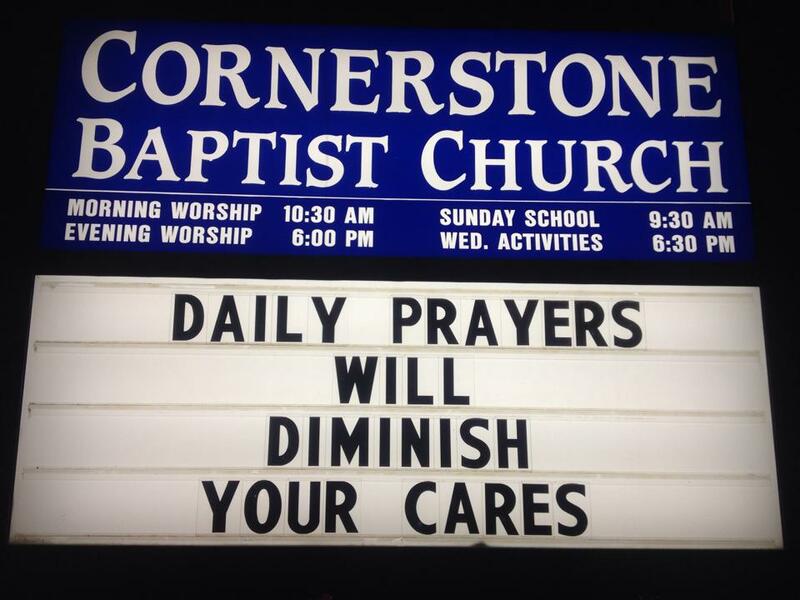 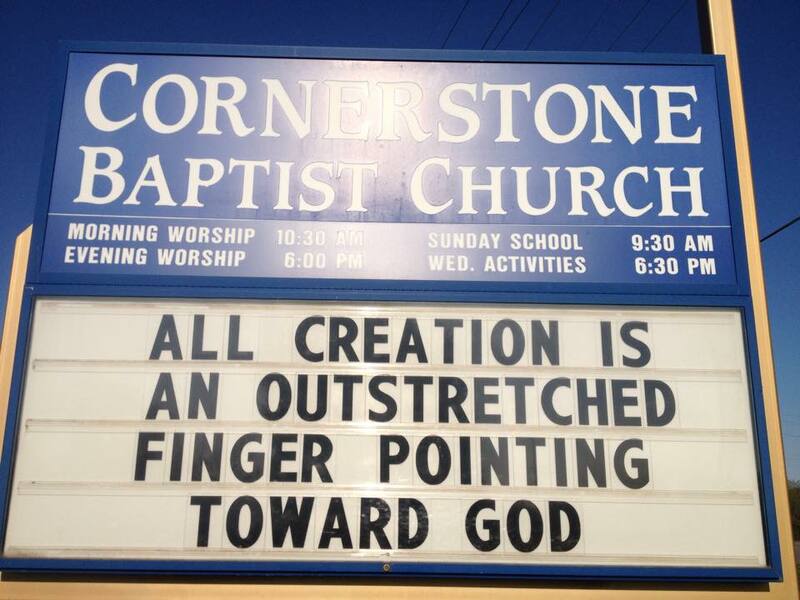 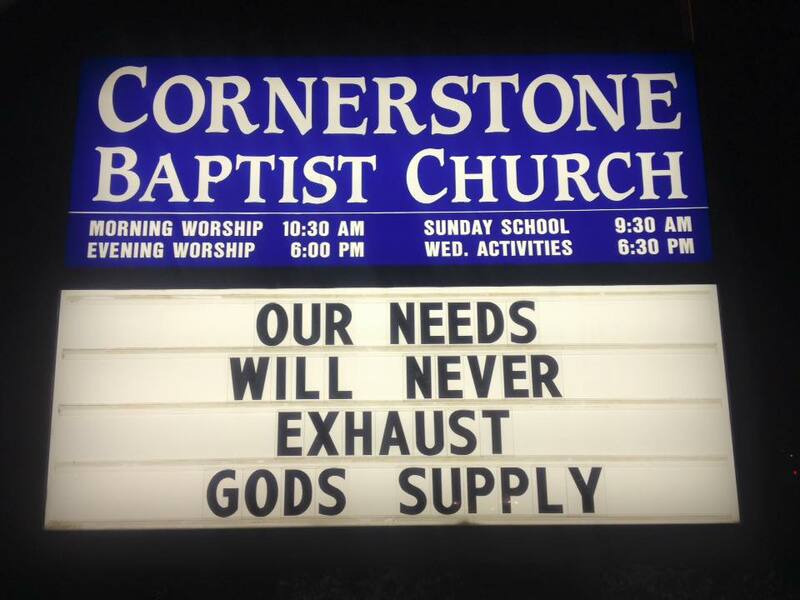 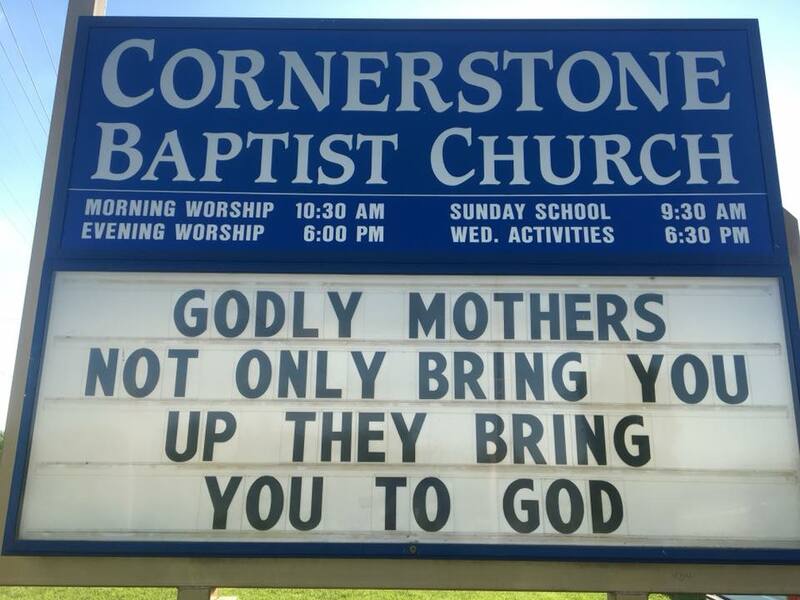 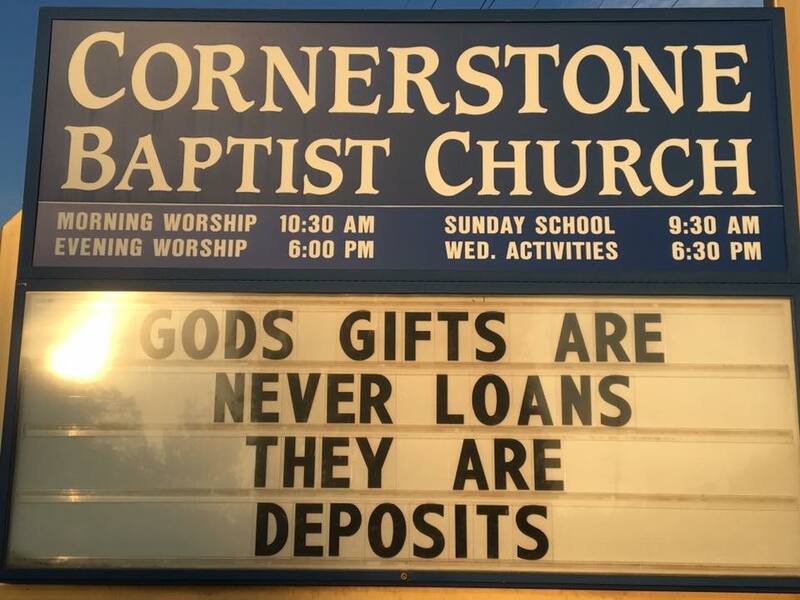 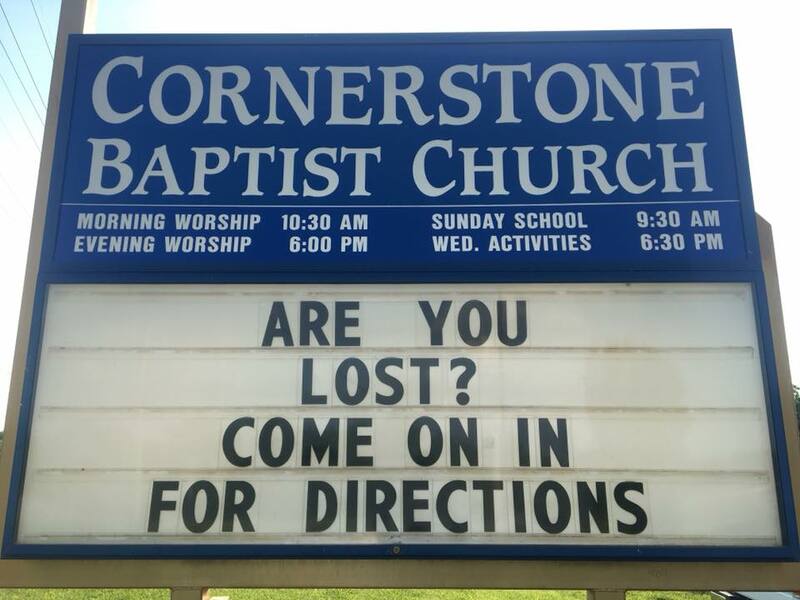 Let God use these sermon signs to touch your heart!